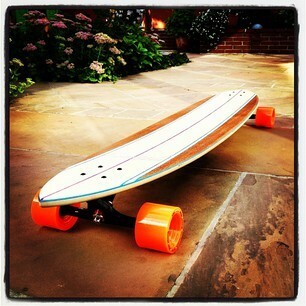 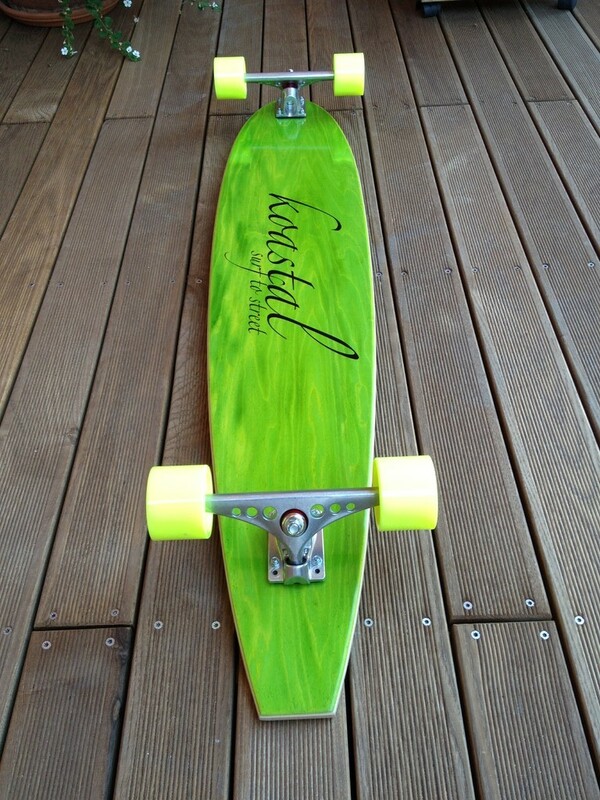 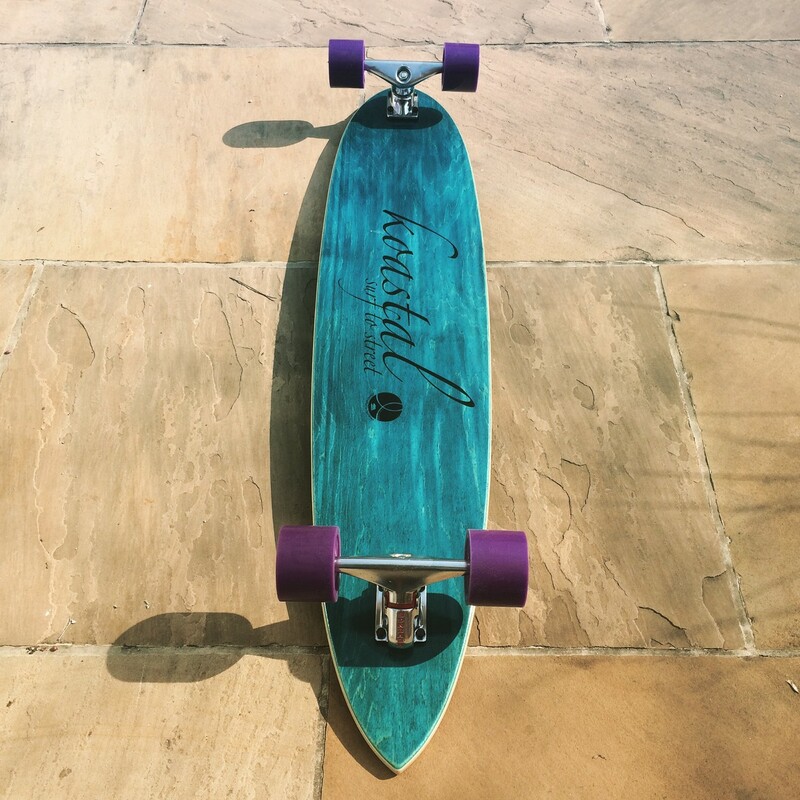 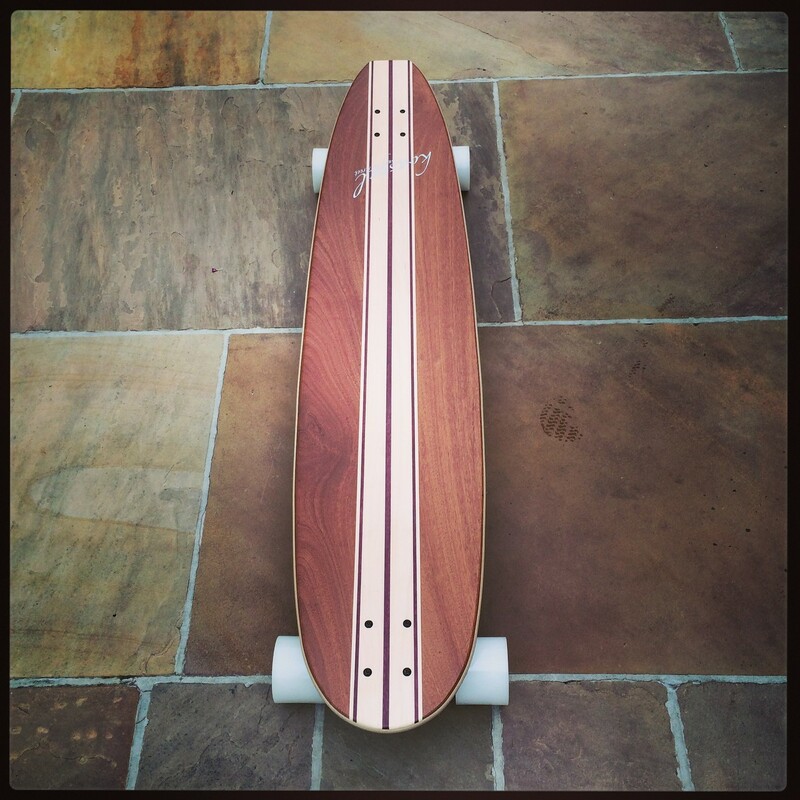 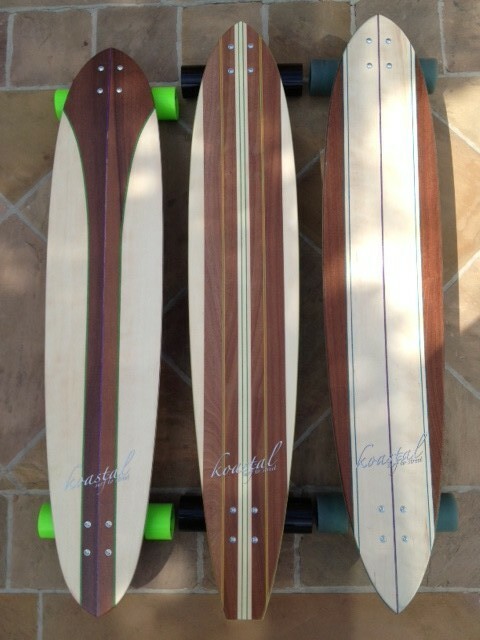 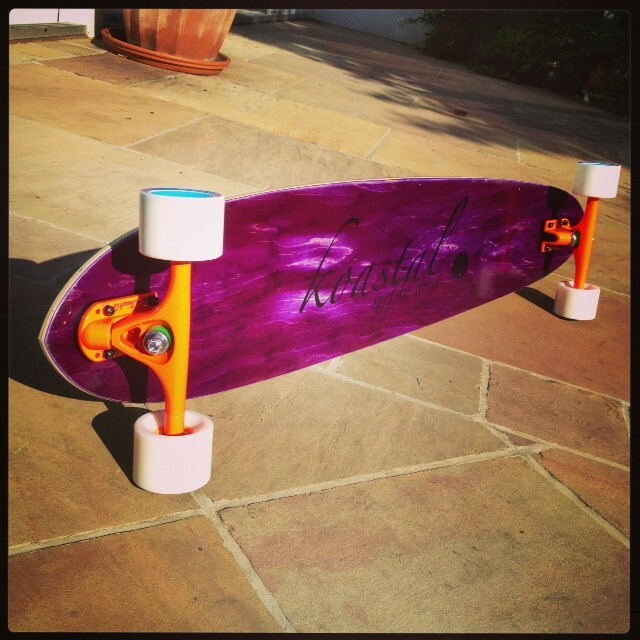 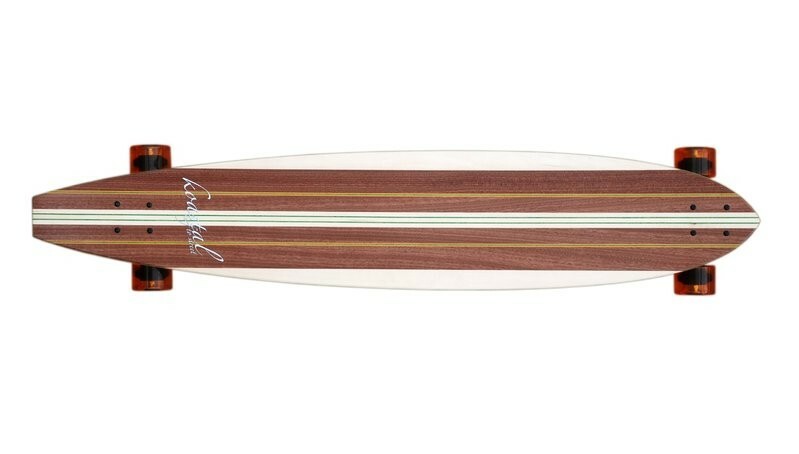 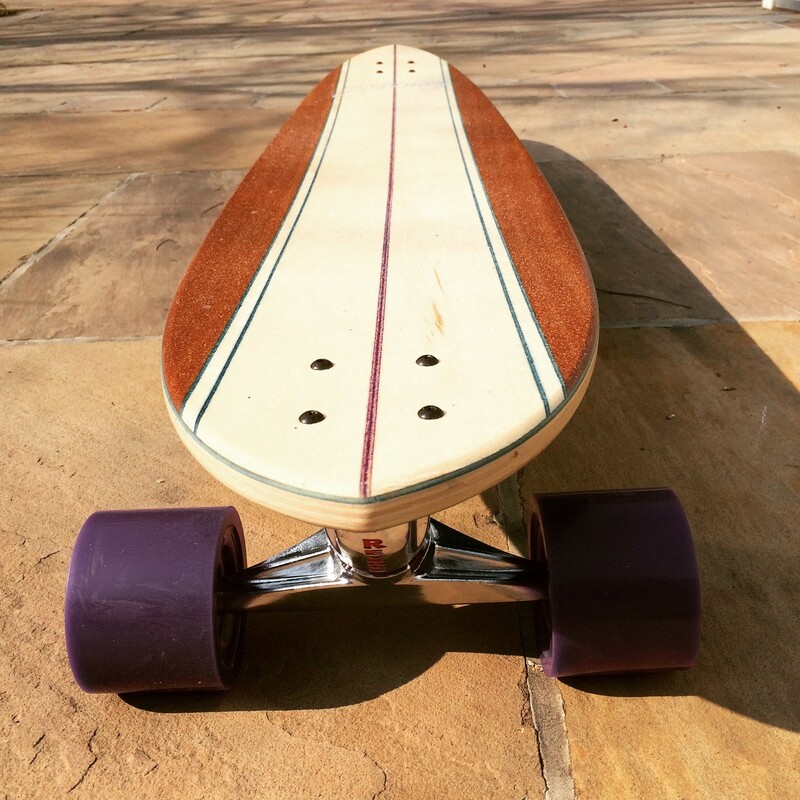 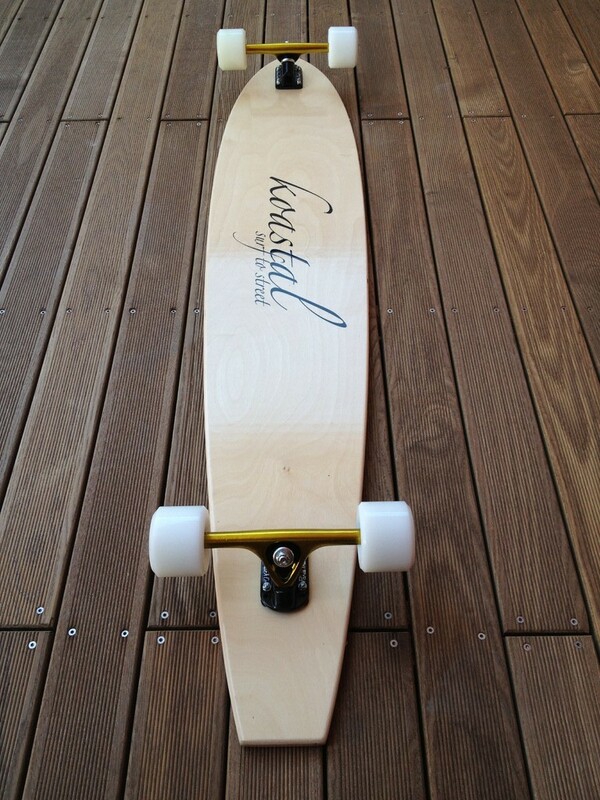 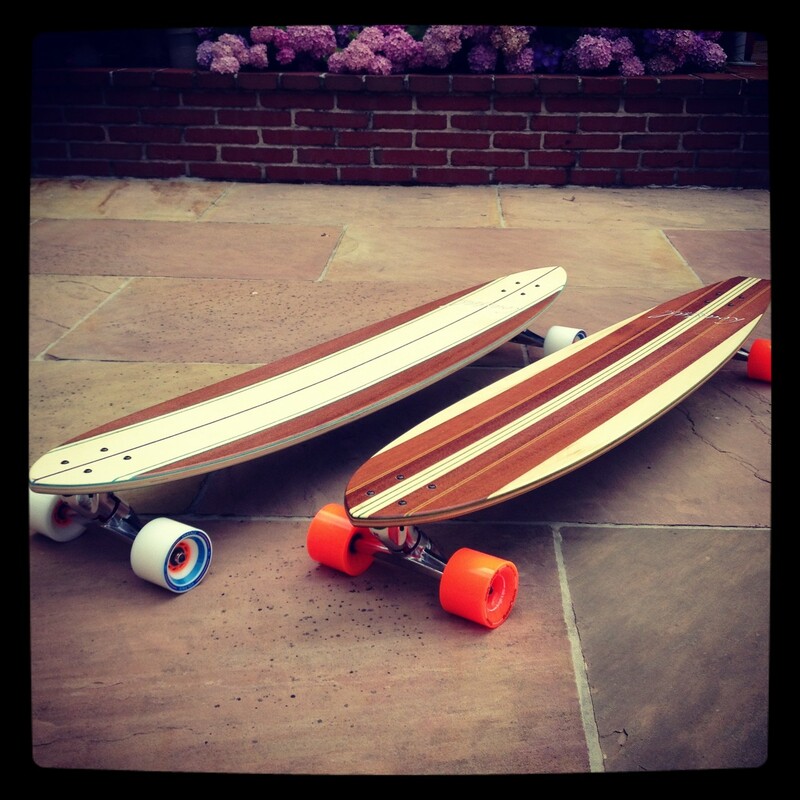 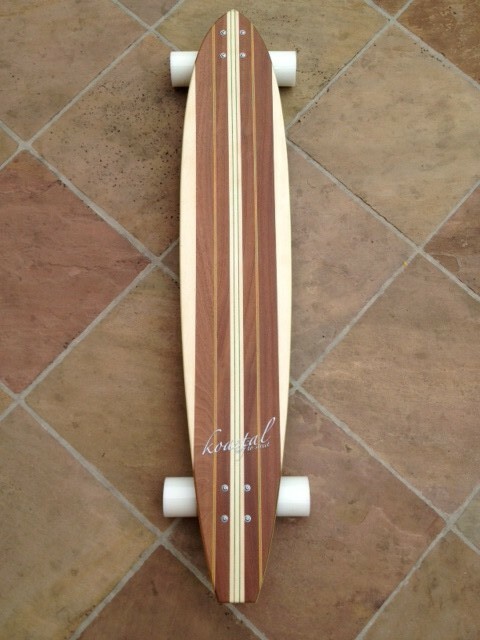 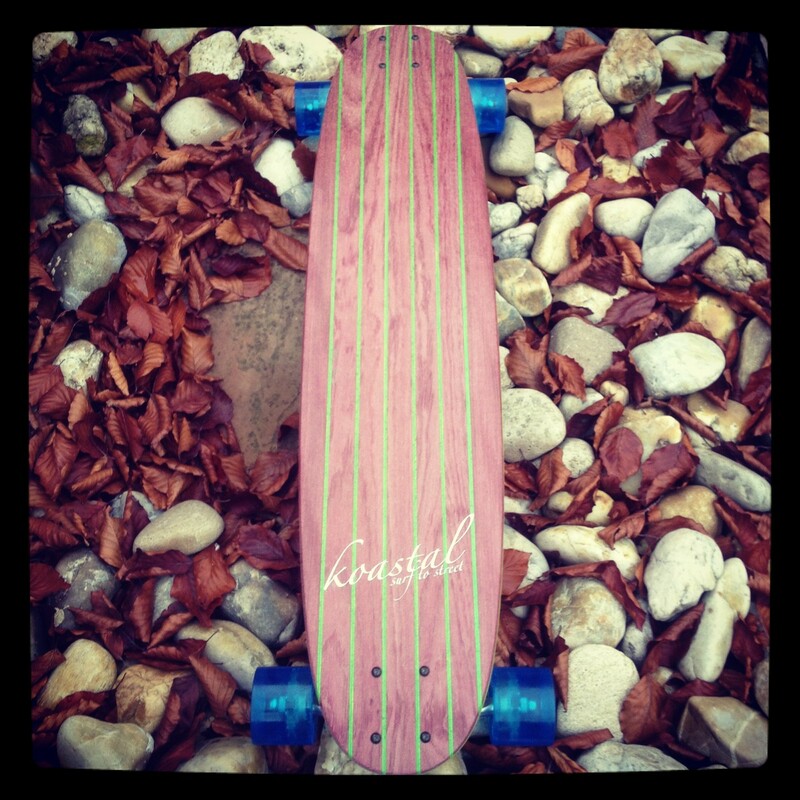 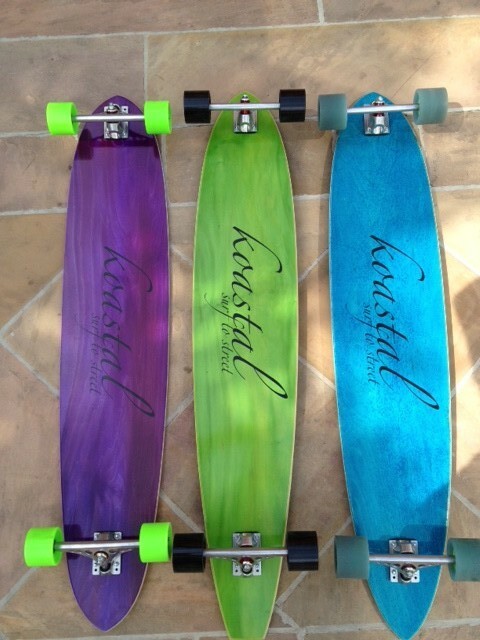 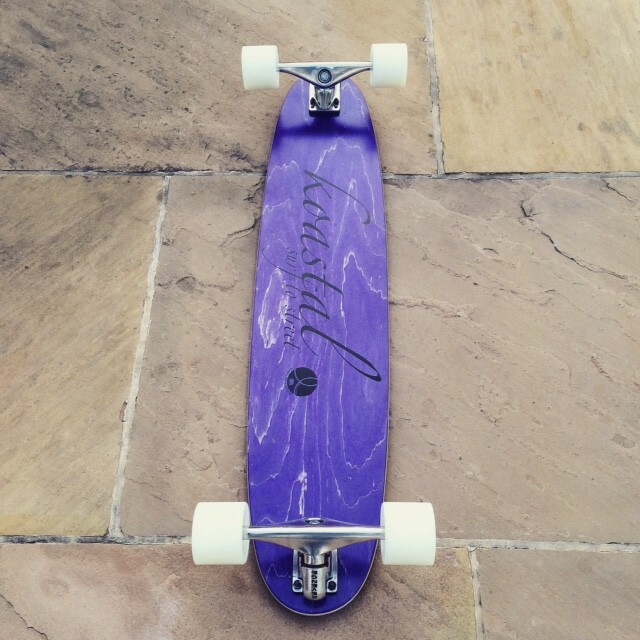 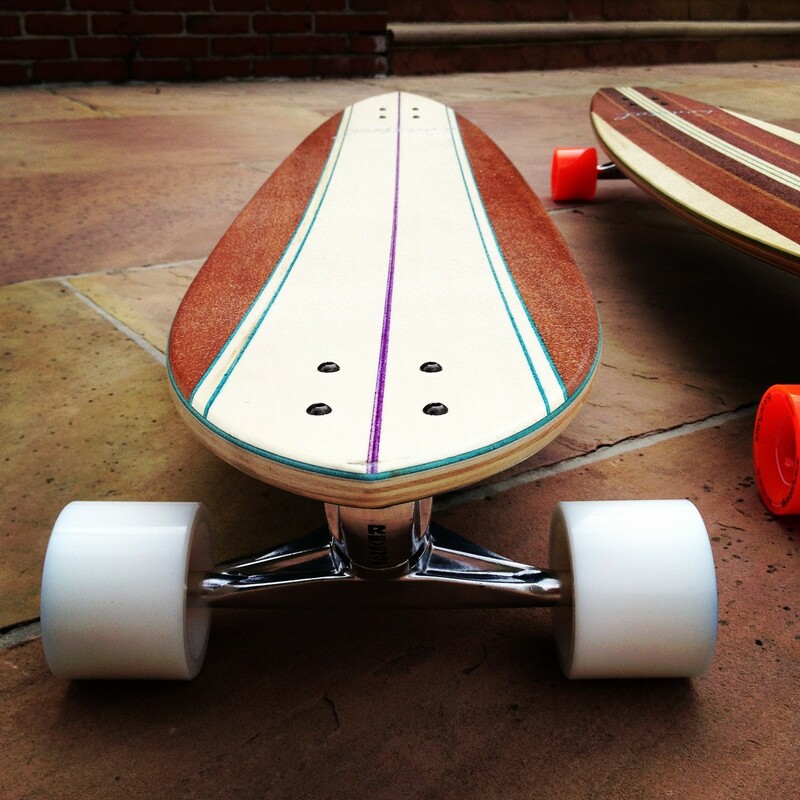 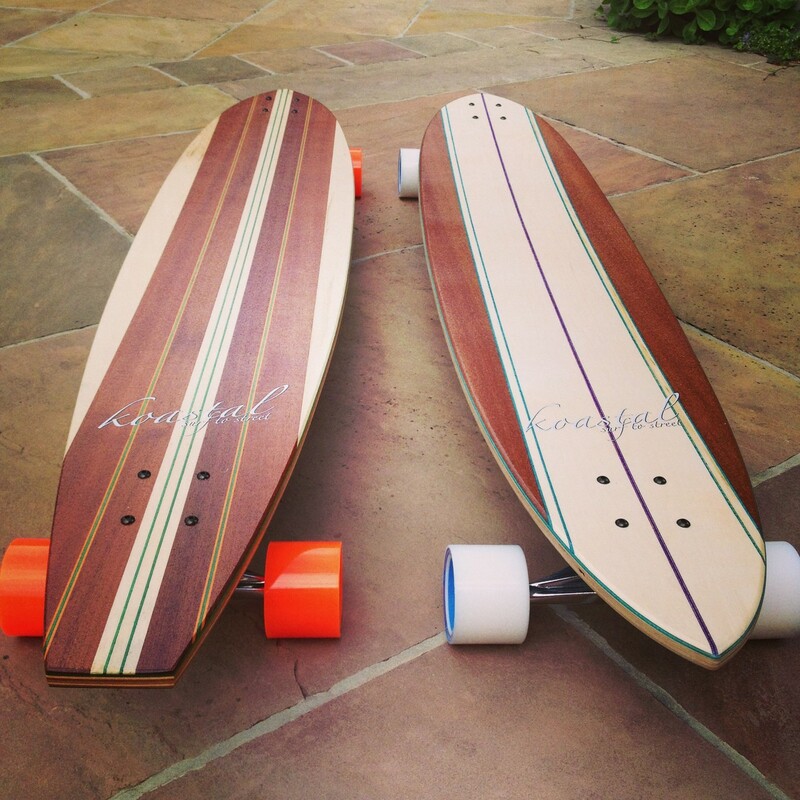 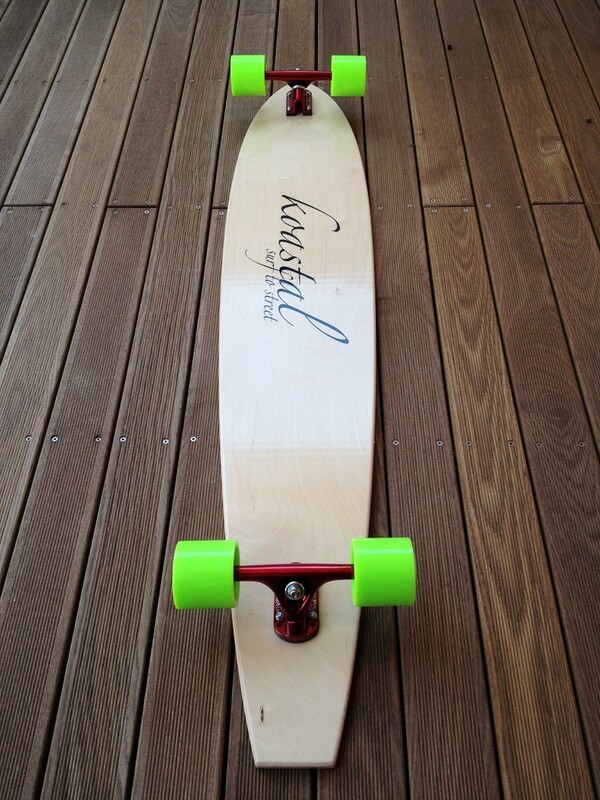 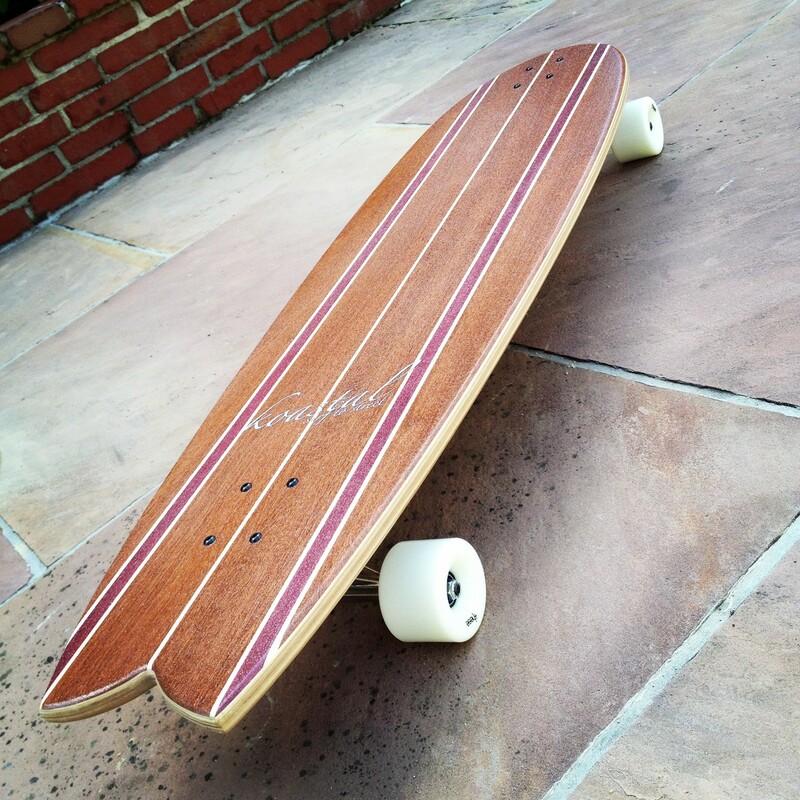 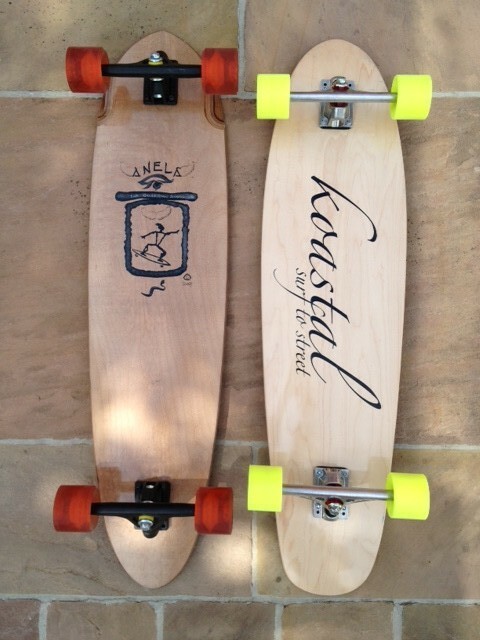 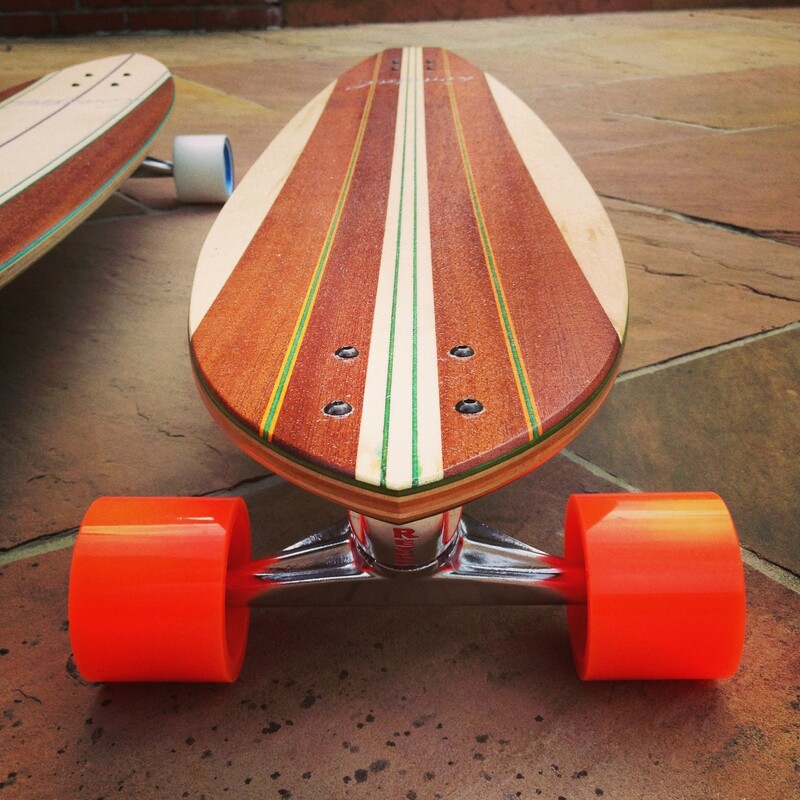 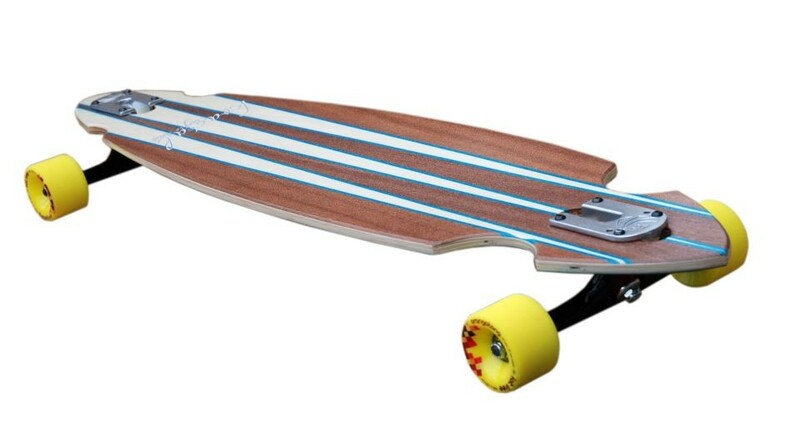 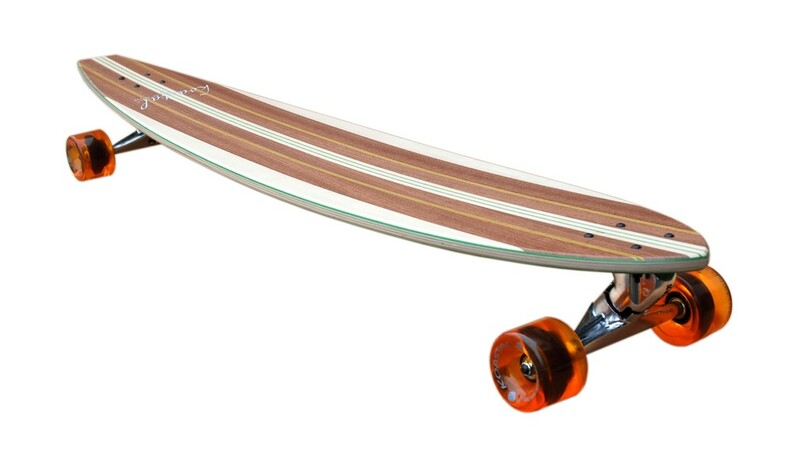 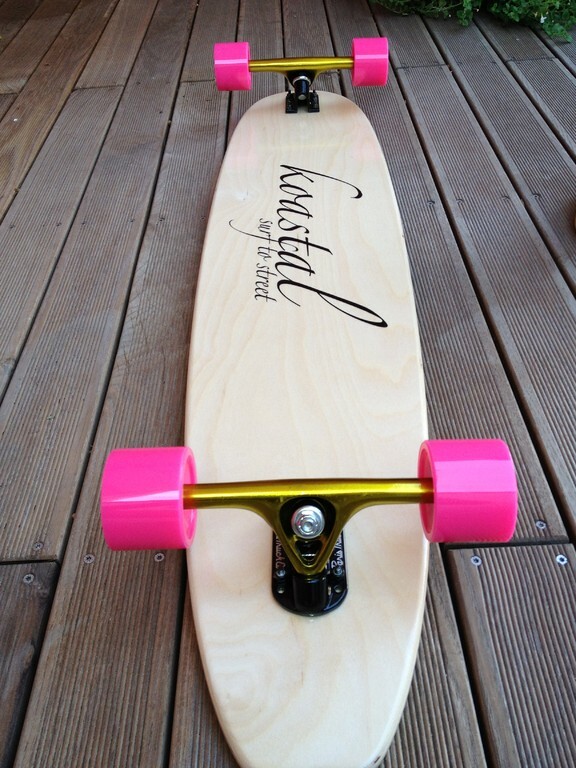 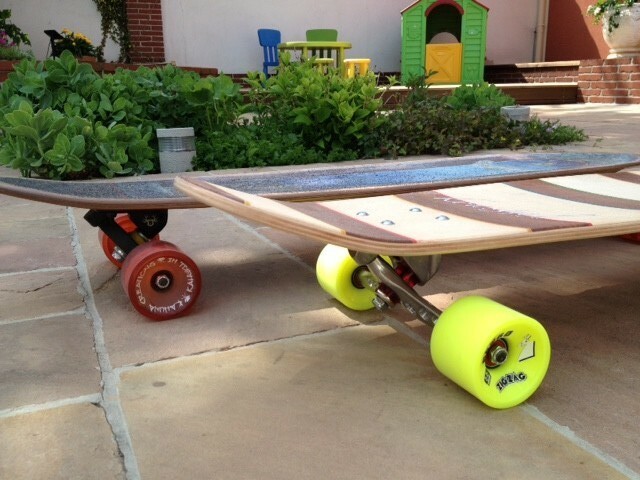 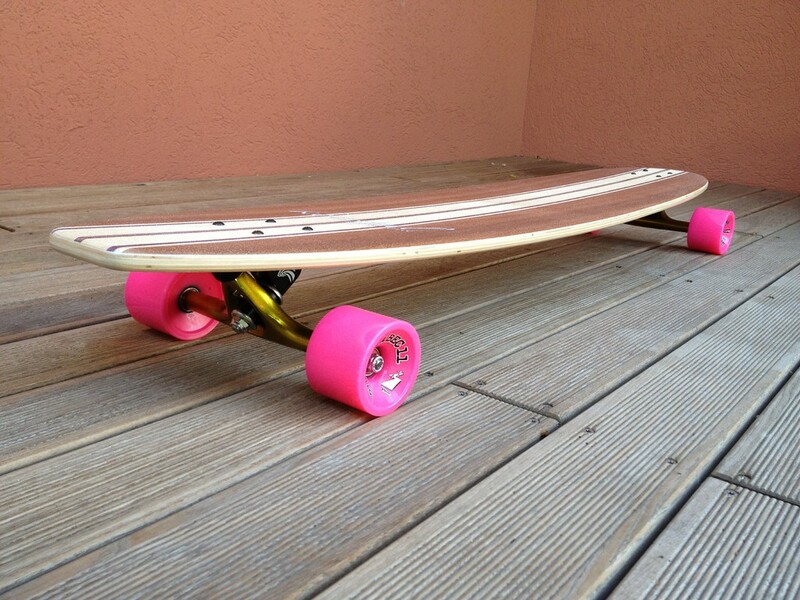 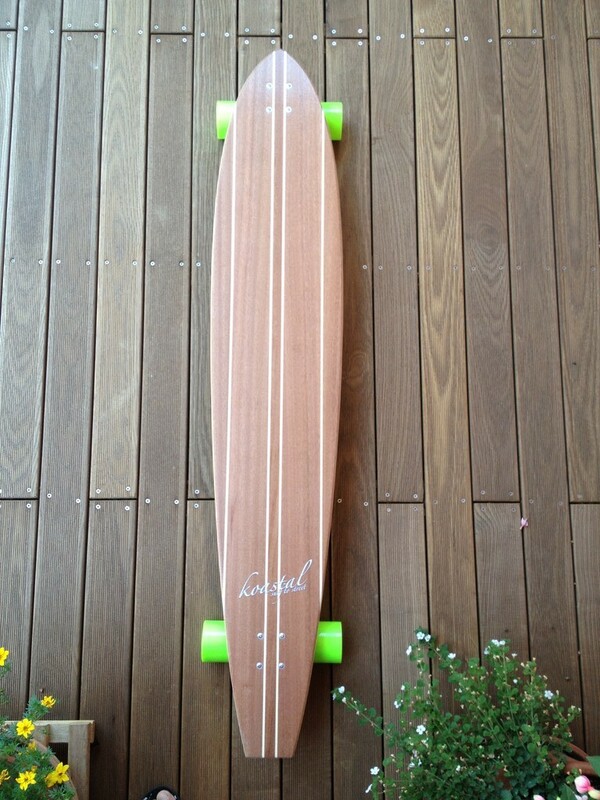 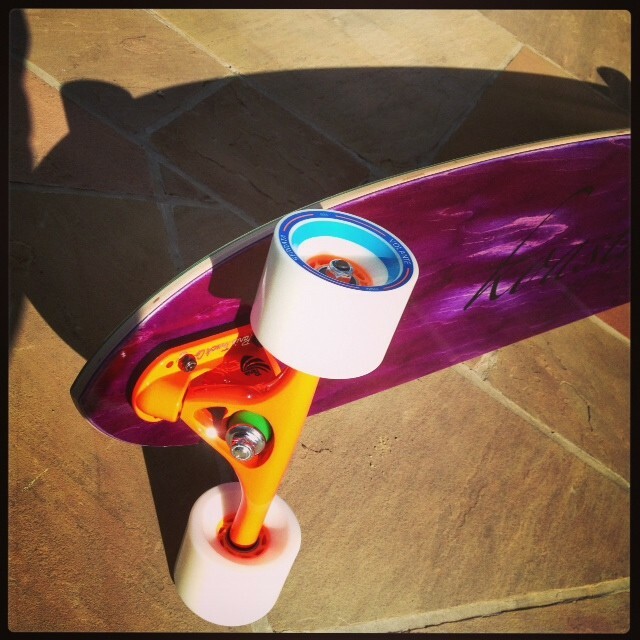 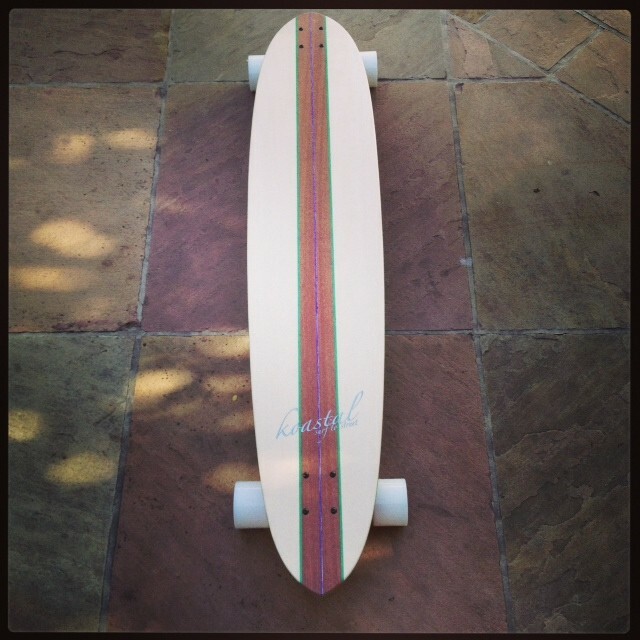 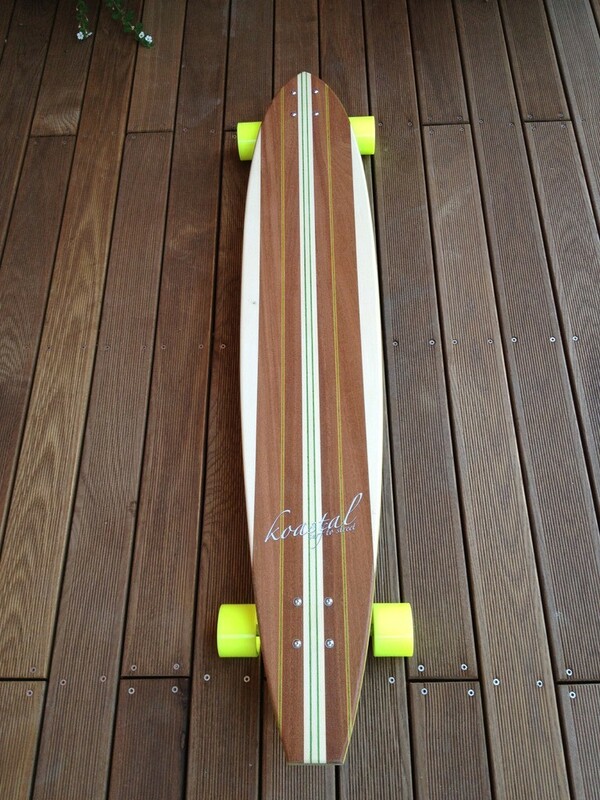 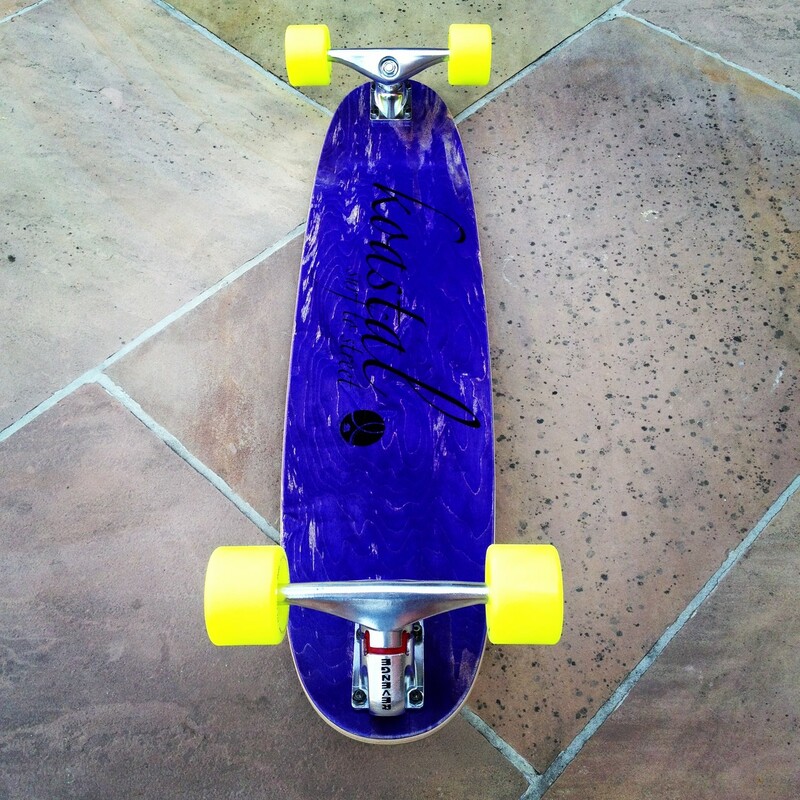 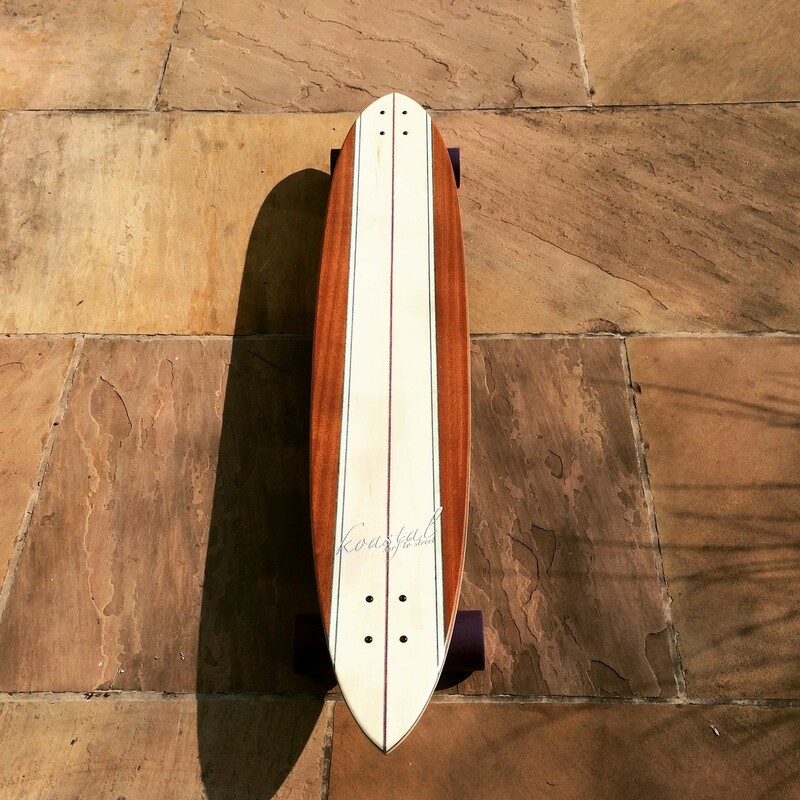 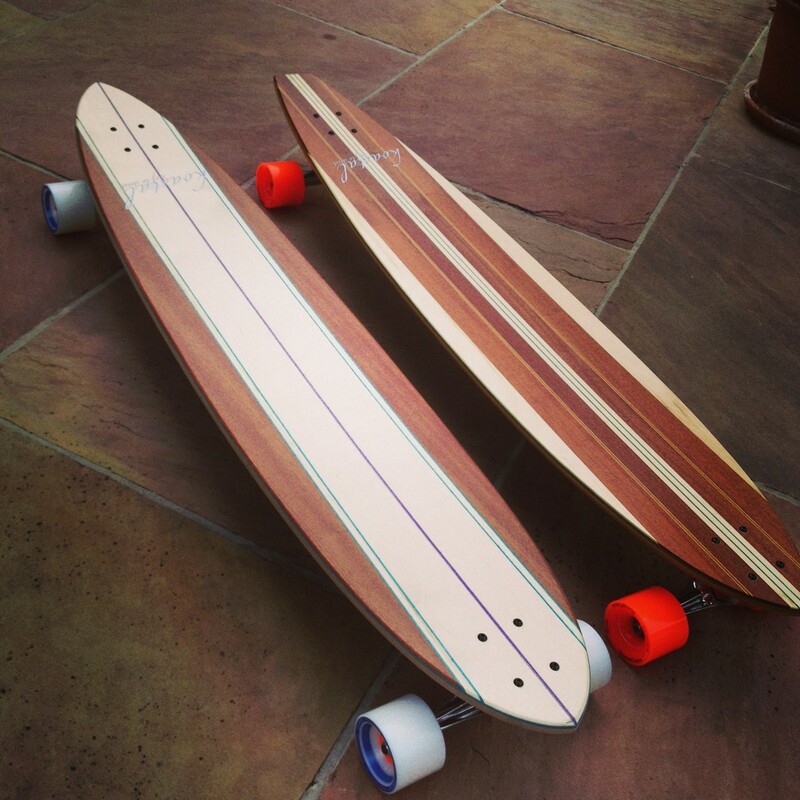 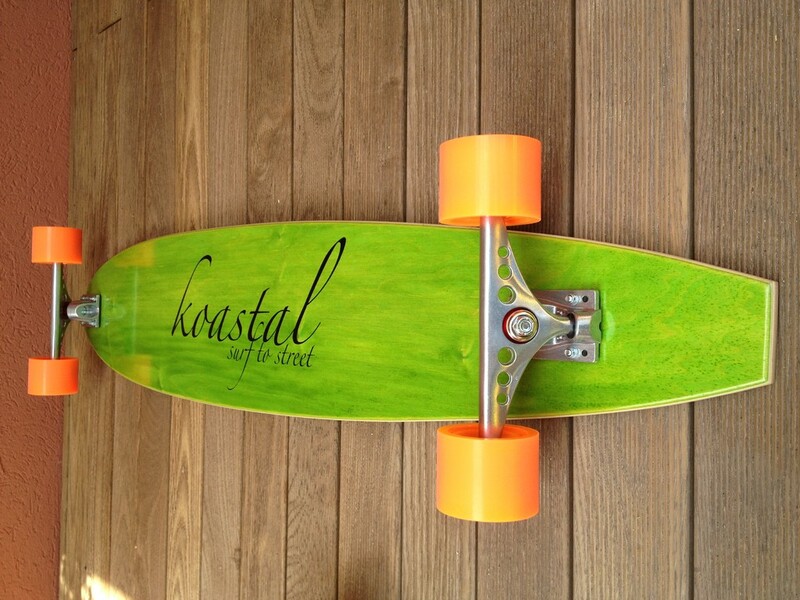 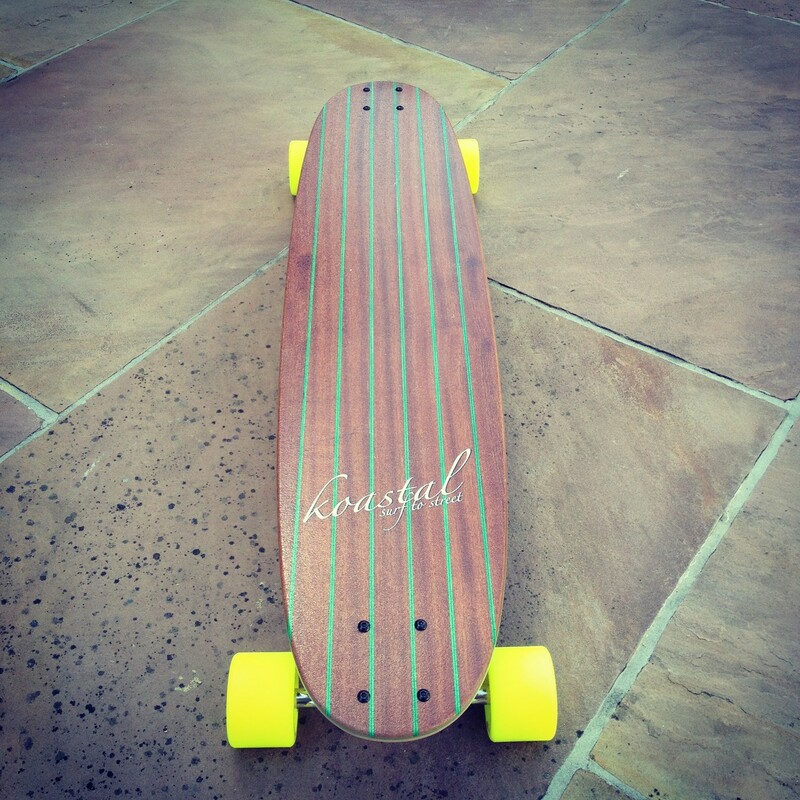 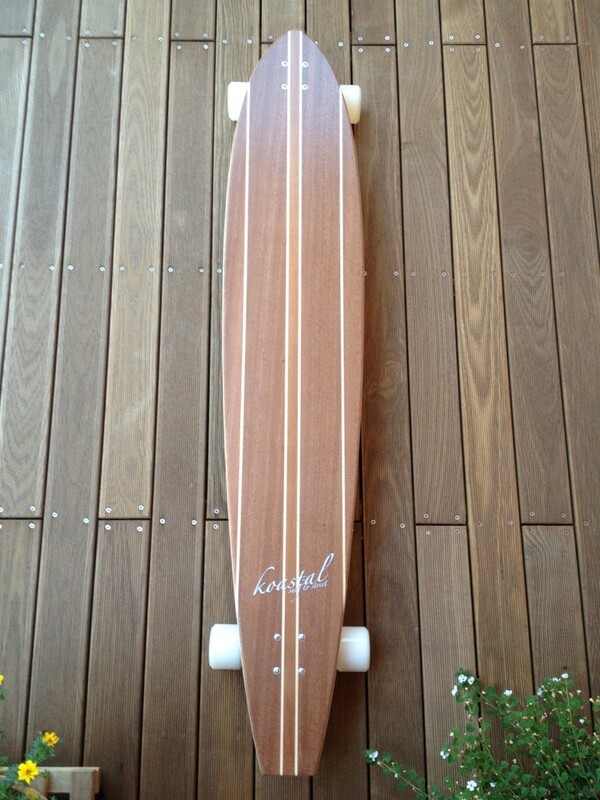 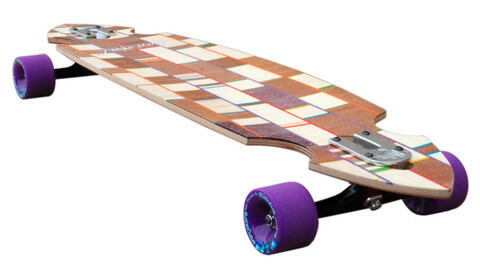 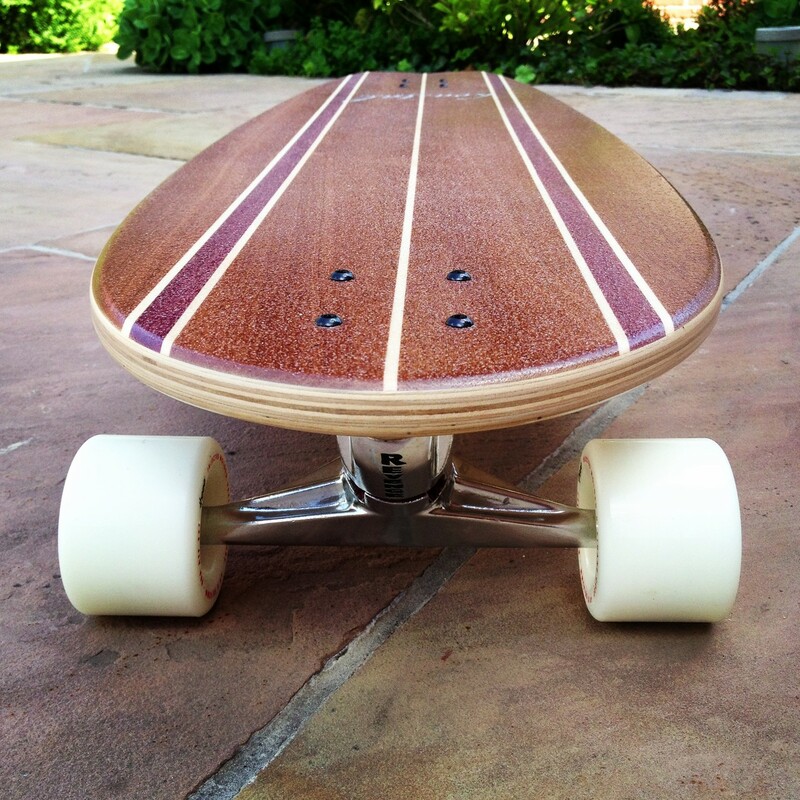 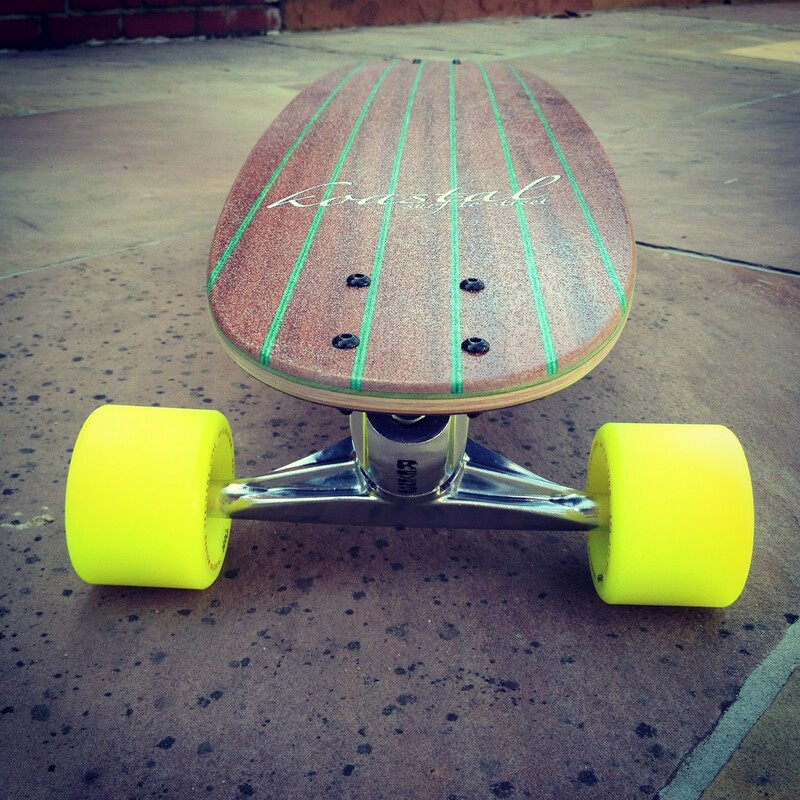 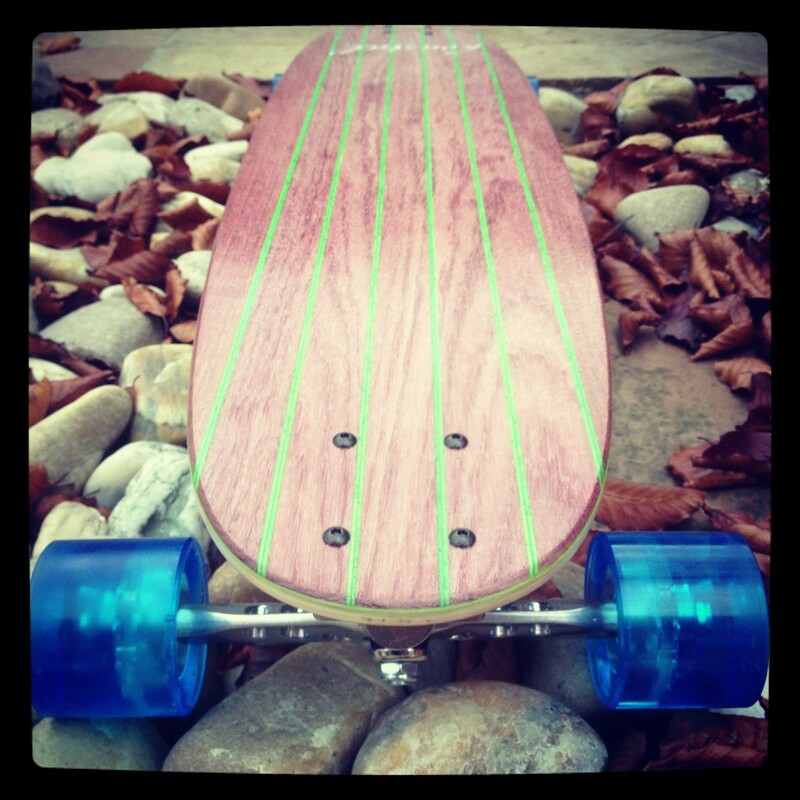 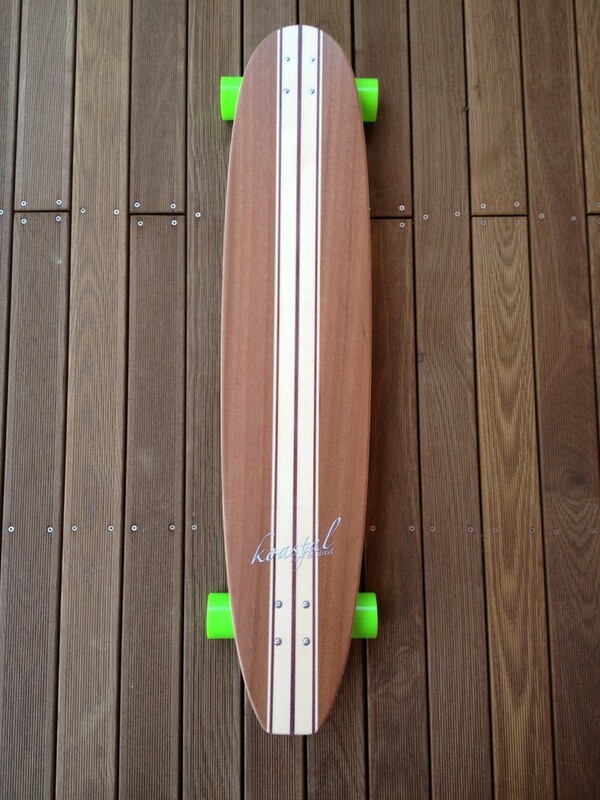 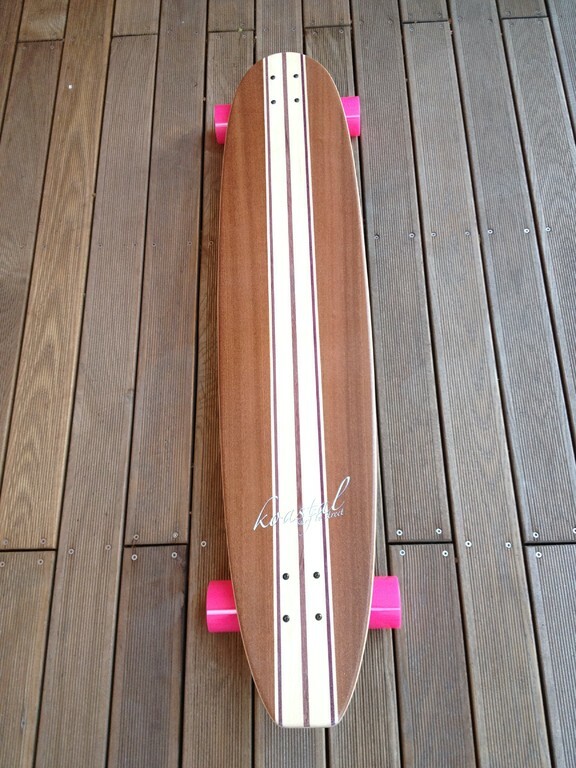 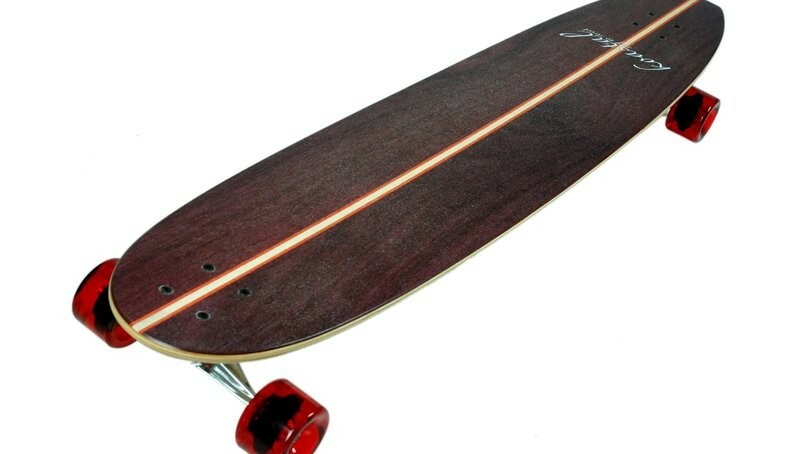 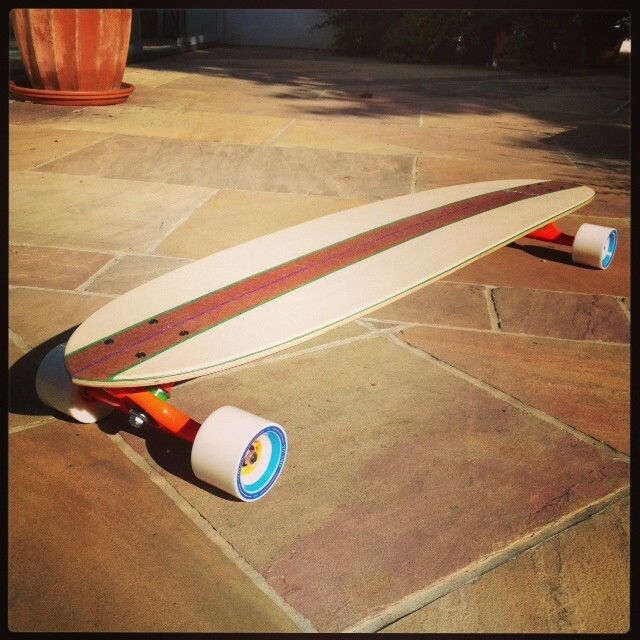 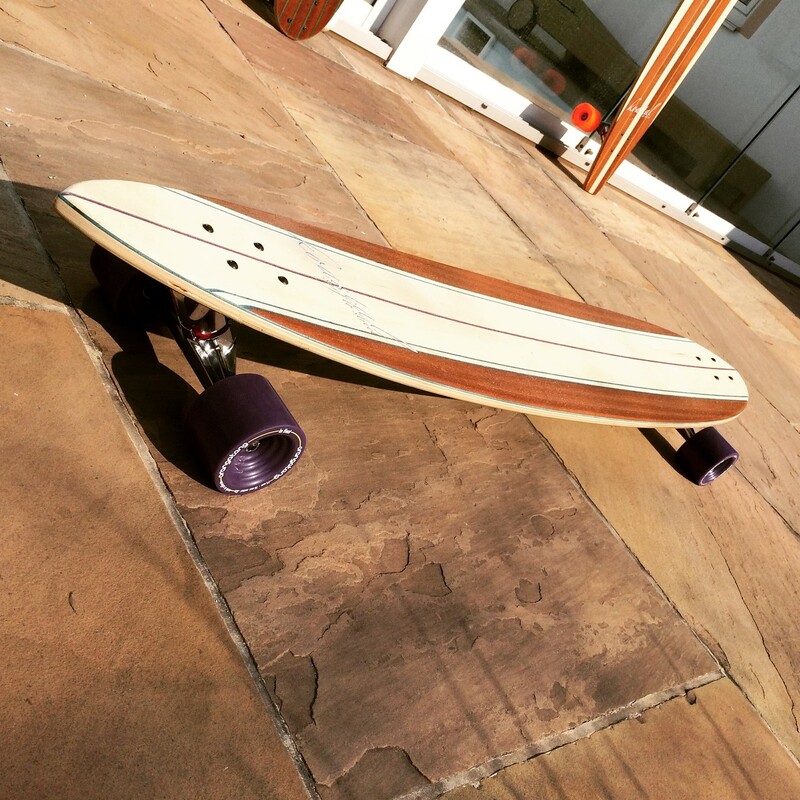 Koastal - Cruiser Serie ALLE BOARDS sind BALD wieder da! 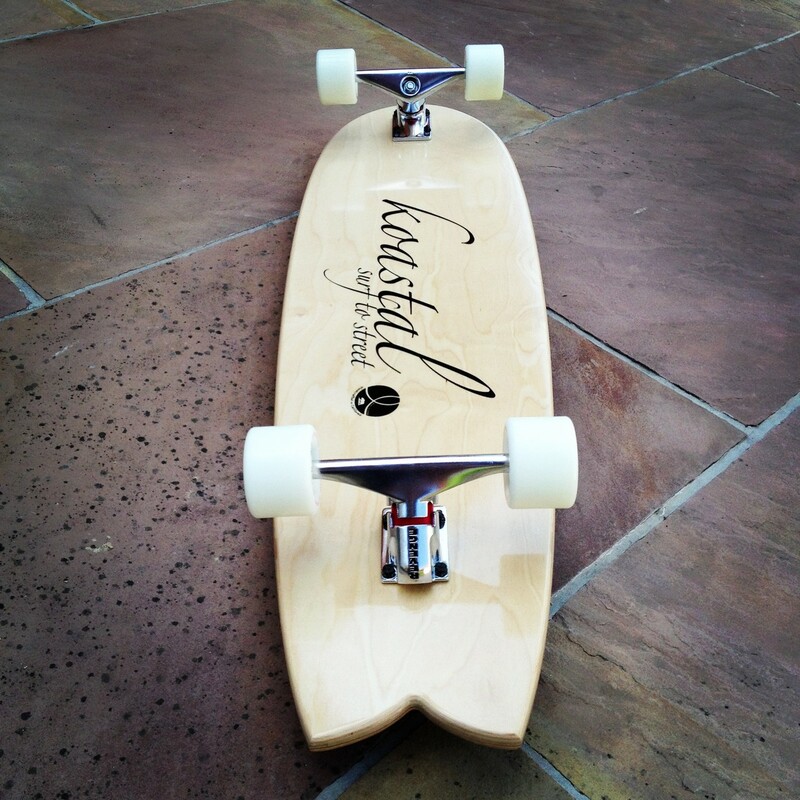 Handcrafted in California. 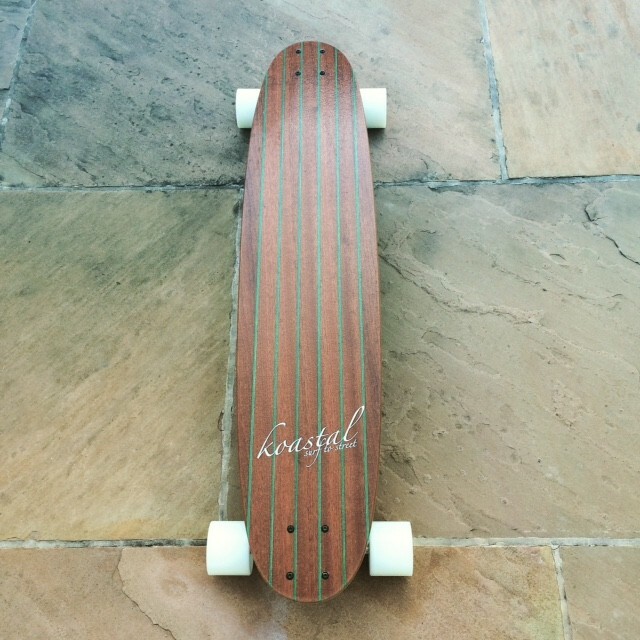 Keine Massenware! 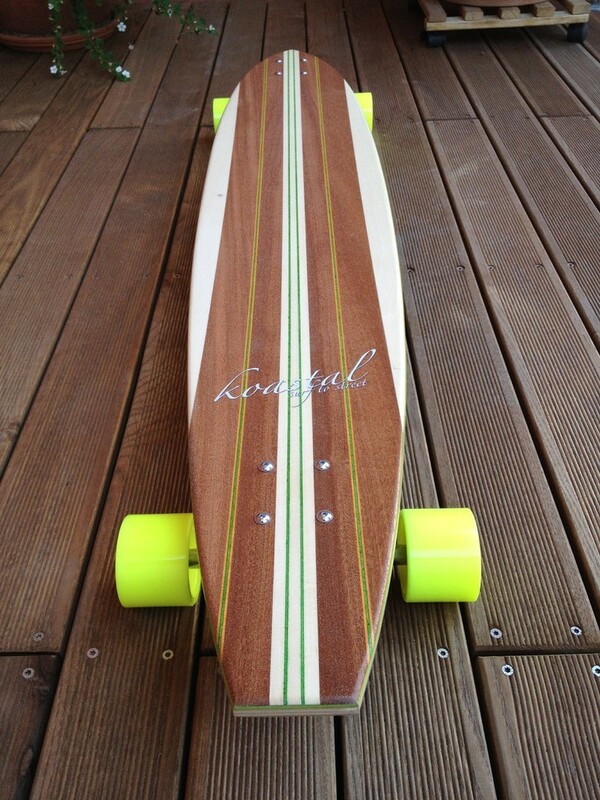 Jedes Board wurde mit Liebe zum Detail geshapt. 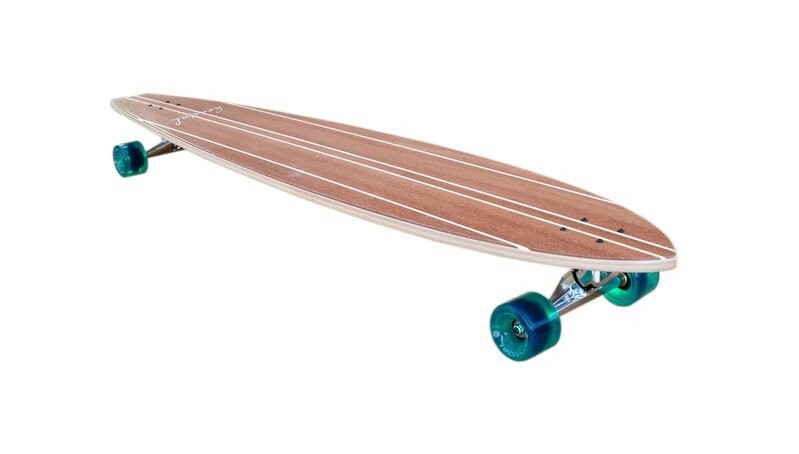 Die typischen Surboards der 60er spiegeln sich in den Koastal Curisern wieder. 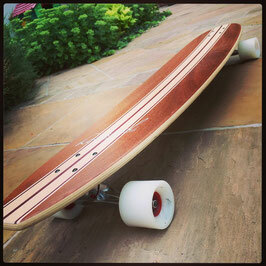 Rocker Line, Stringer ... anders gesagt. Schnappt Euch das Classic oder den Wavedancer und surft den Asphalt! 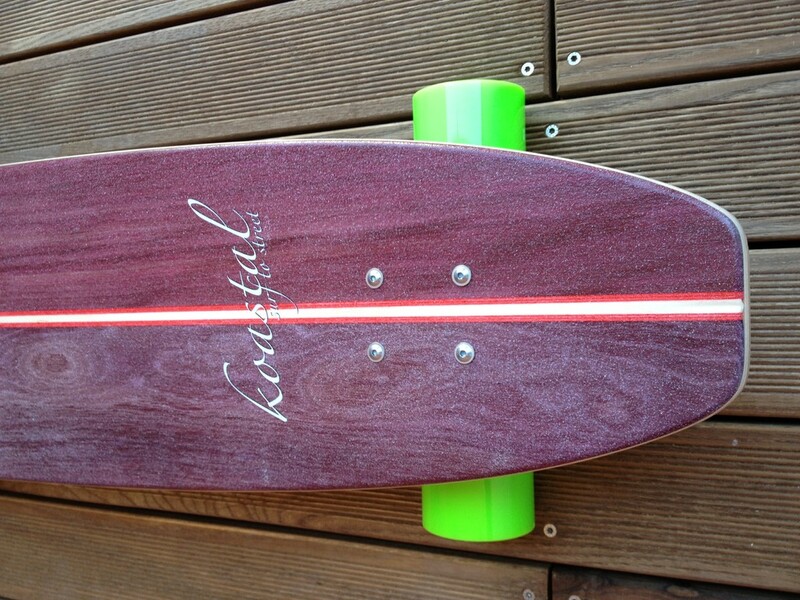 Die Cruiser Serie ist gebaut um den Asphalt zu surfen. 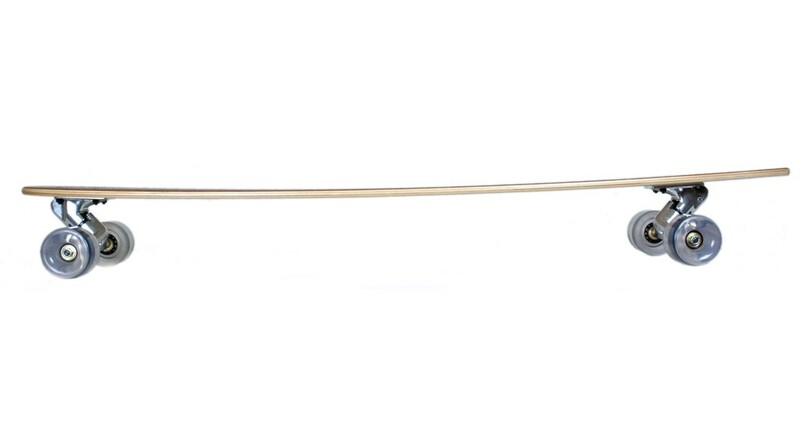 Nicht mehr und nicht weniger. 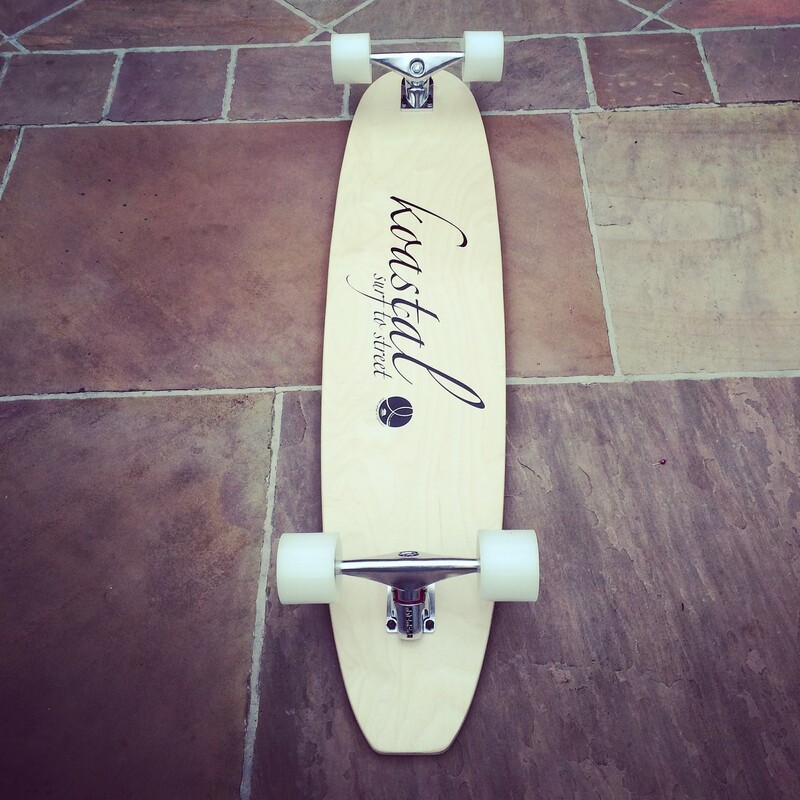 Alle KOASTAL Longboards sind auch Deck only oder mit Original Koastal Setup = Revenge trucks and Koastal wheels oder mit eienm Deluxe Setup erhältlich (Deluxe Setup = Rollen+Achsen+ Kugellager+Spacer+ Schrauben normaler Verkaufspreis liegt bei ca. 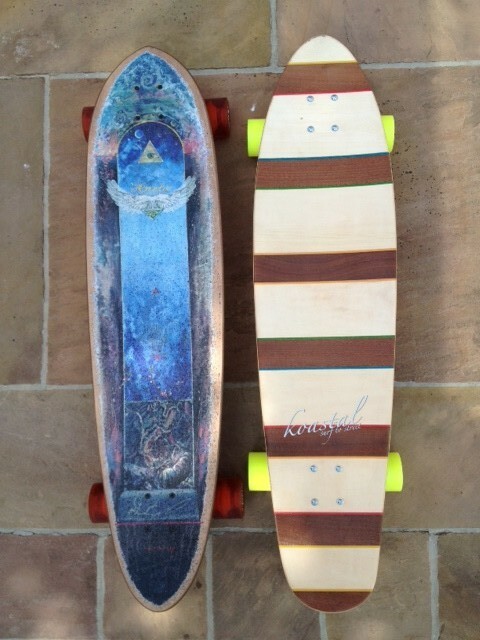 130,-)! 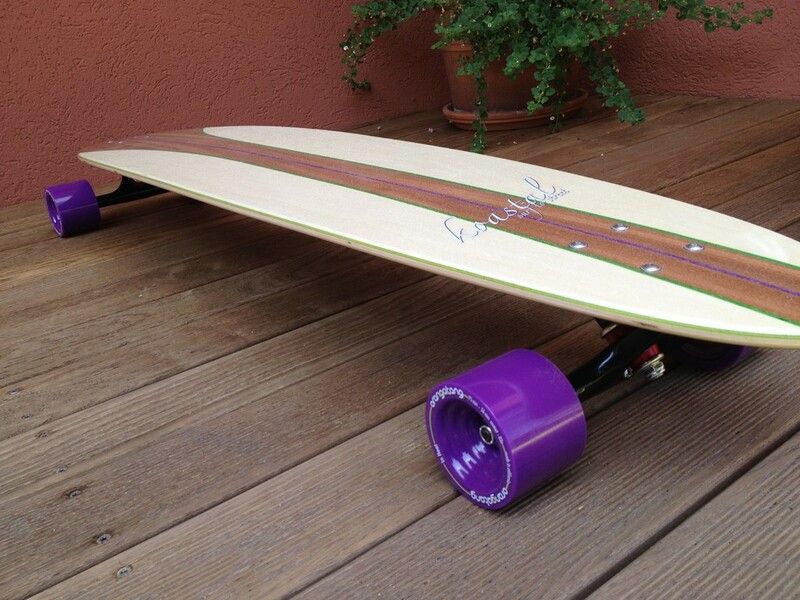 Das Deluxe Setup besteht aus TOP Produkten aus der Longboard Industrie zb. 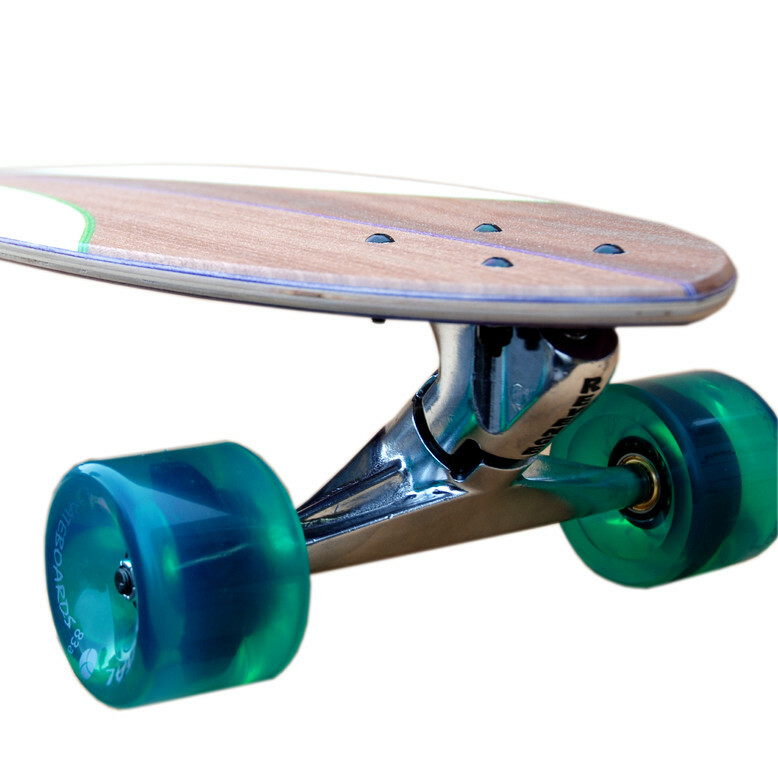 Abec11 Rollen, Seismic Rollen, Orangatang Rollen, Paris Achsen, Holey Achsen, RandalRII Achsen und Abec7 Kugellager für ein unglaubliches Surf Vergnügen auf der Straße! 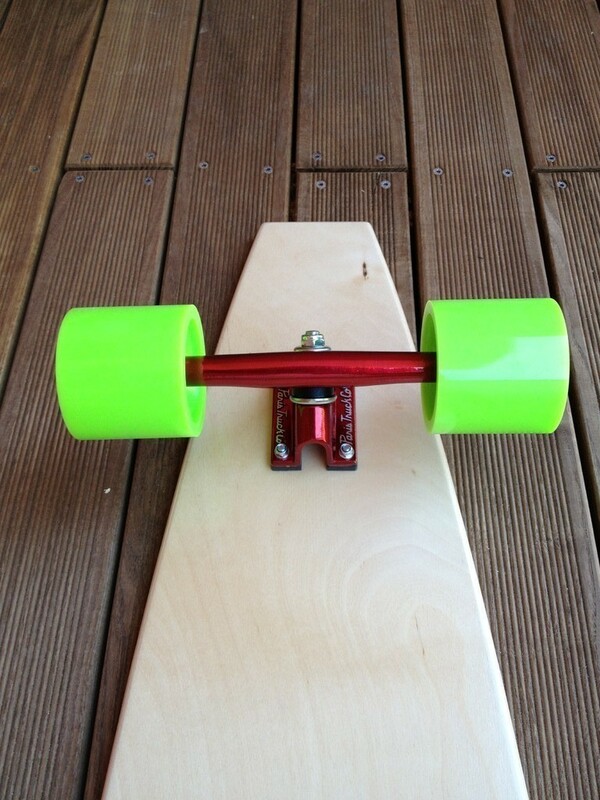 Auf Wunsch kann man das Setup anpassen! 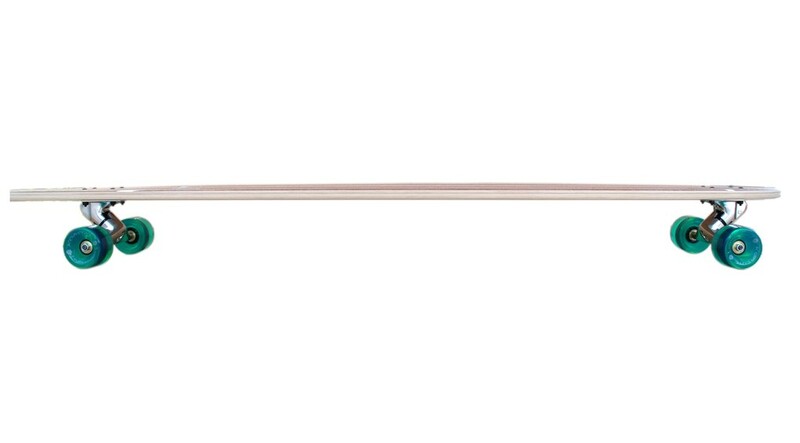 Hardware: Black hex head mounting hardware. 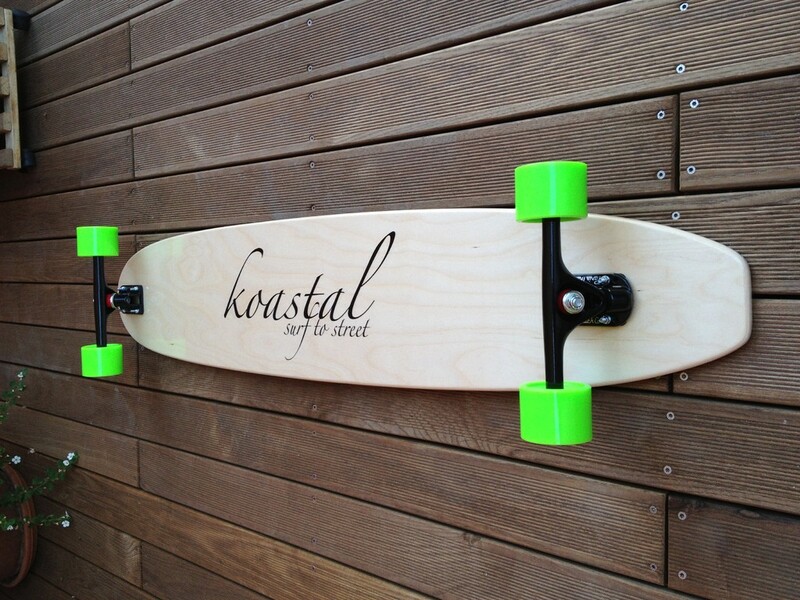 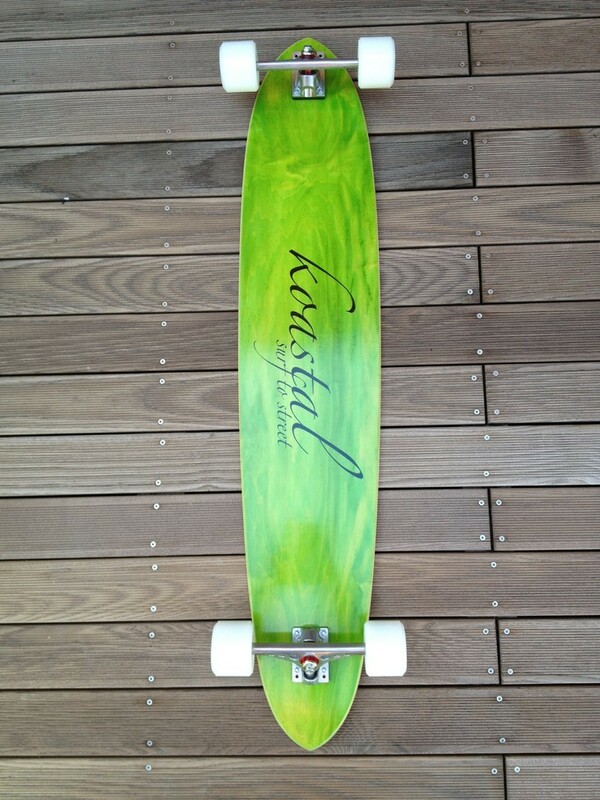 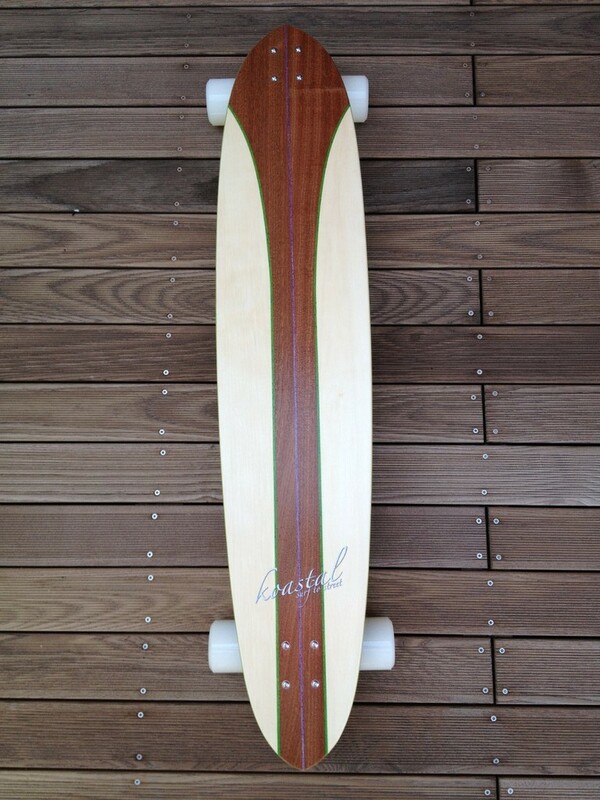 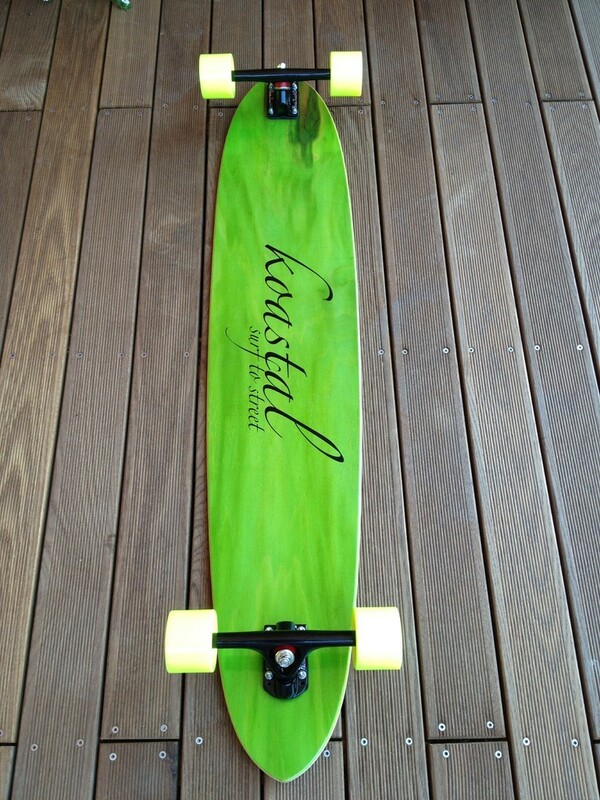 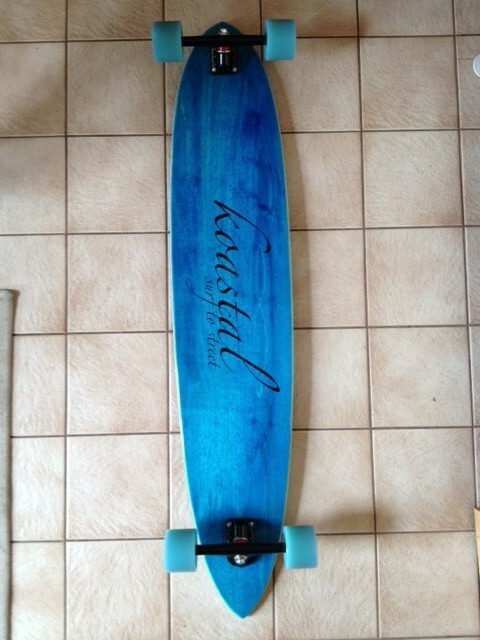 Koastal 40" Fish Tail Longboard Cruising Carving Skateboard. 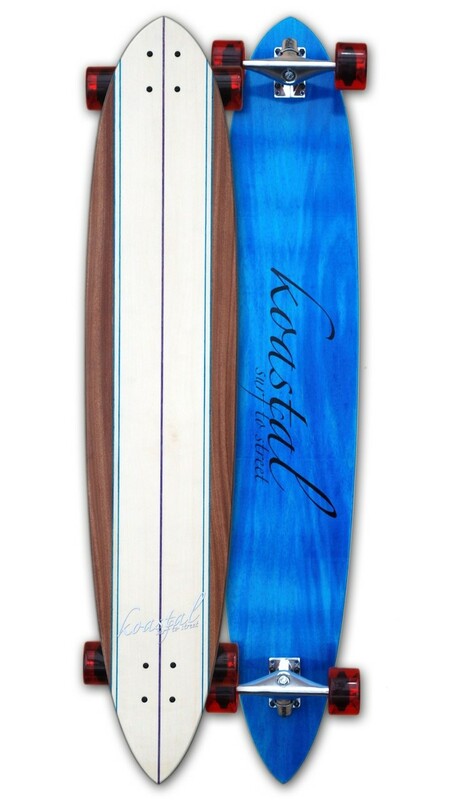 Fish Tail says it all. 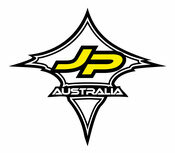 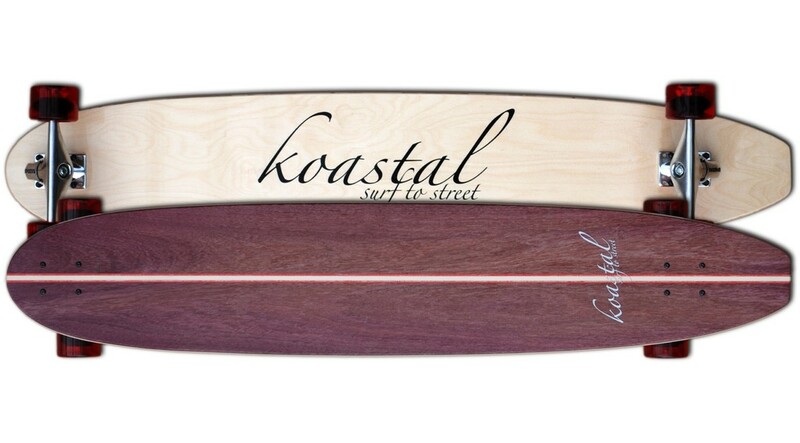 The Shape and name is taken from the Fish Tail surfboard design. We designed this board to be very stiff and very wide. It accommodates the land paddle very well and can also make some really heavy deep carves. 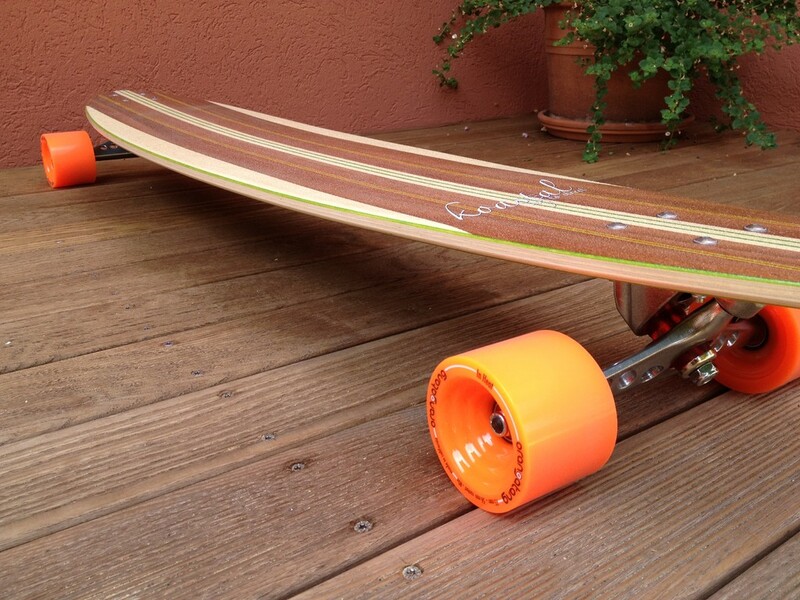 This heavy board can be a little much to push long distance because of its thickness and weight. 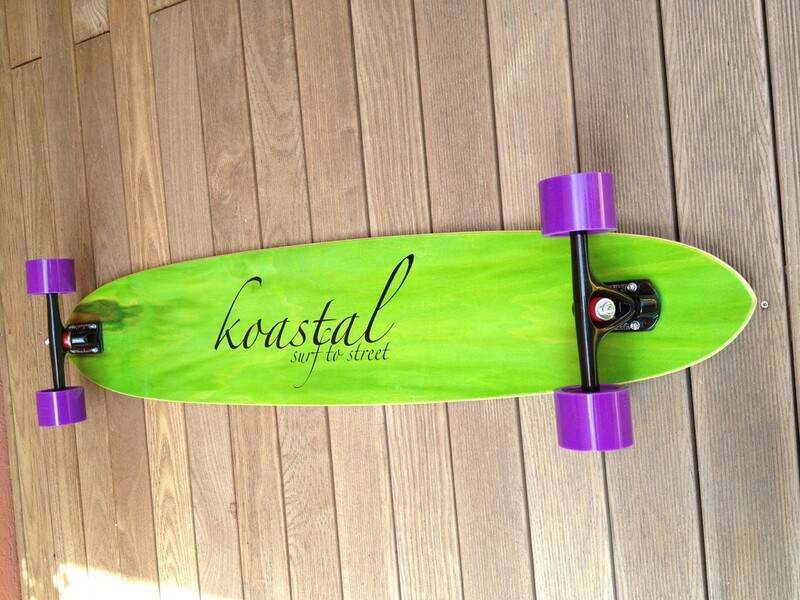 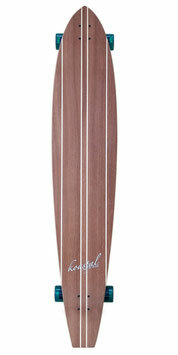 Koastal recommends this board for some very slight down hill carving and using with the land paddle on flat surfaces. 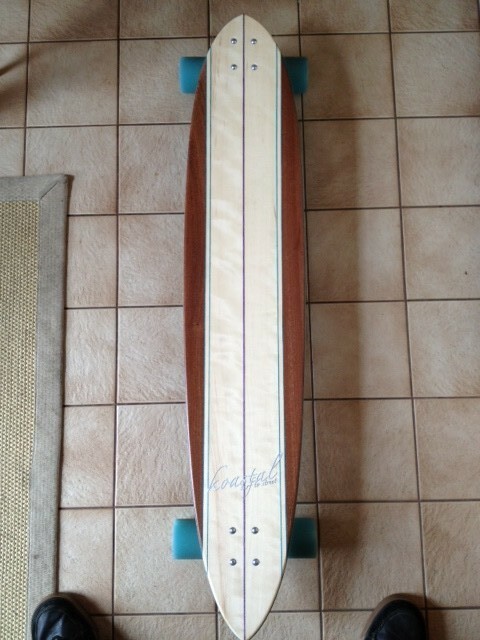 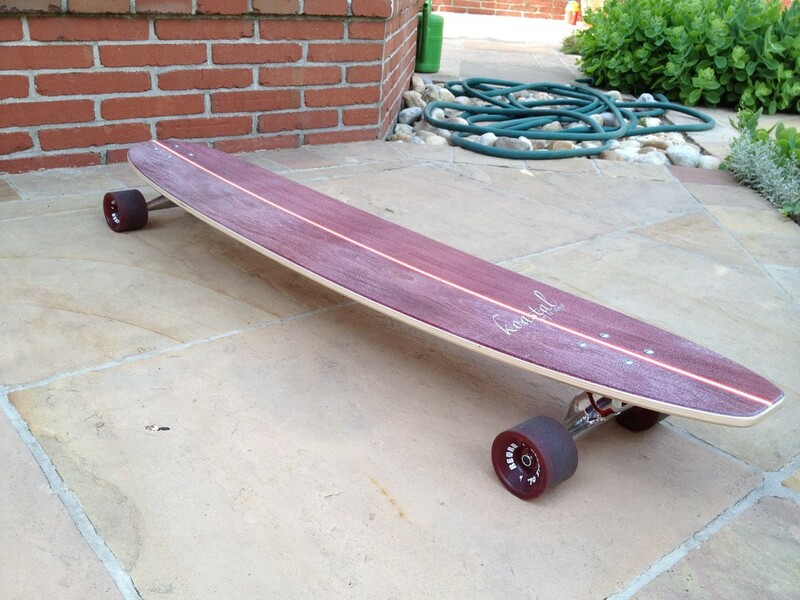 Similar boards, well there isn't anything similar to this board in the line this is a one of a kind. 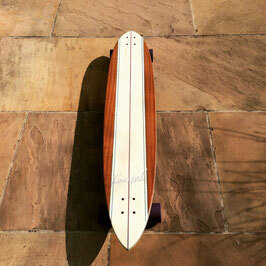 Wood: Mahogany. 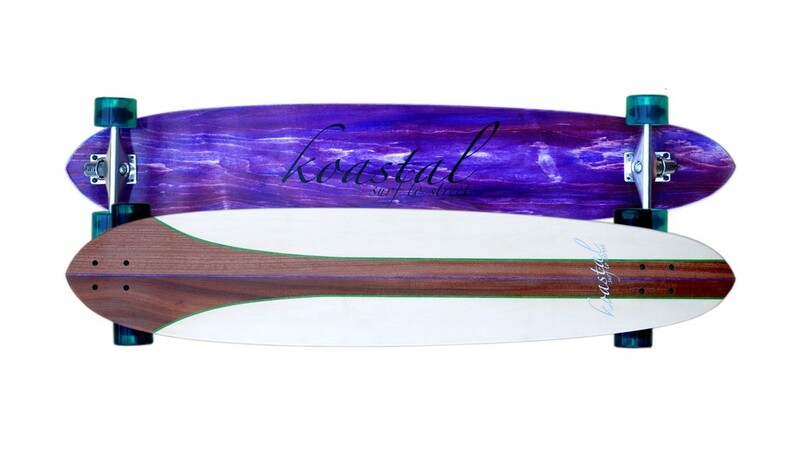 Purple Heart, and Aspen. 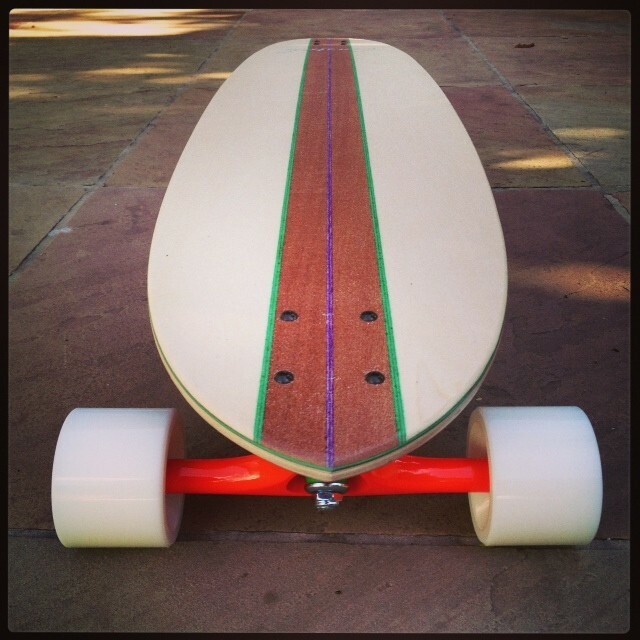 The core of this board is 12 ply. 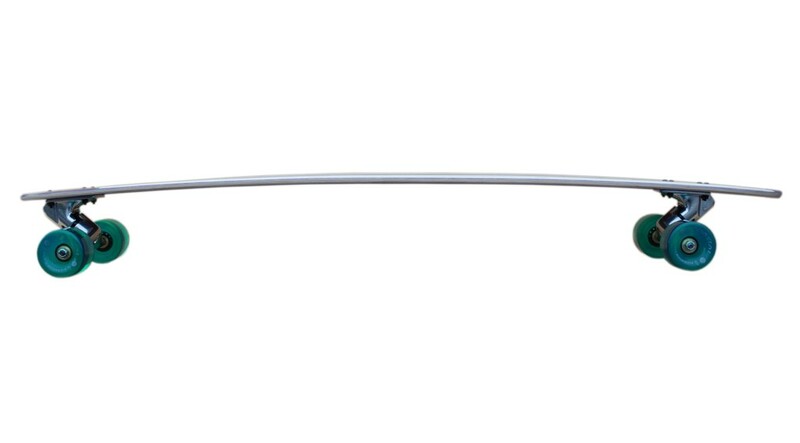 TheDas T-Band....ein Brett das nach Asphalt ruft. 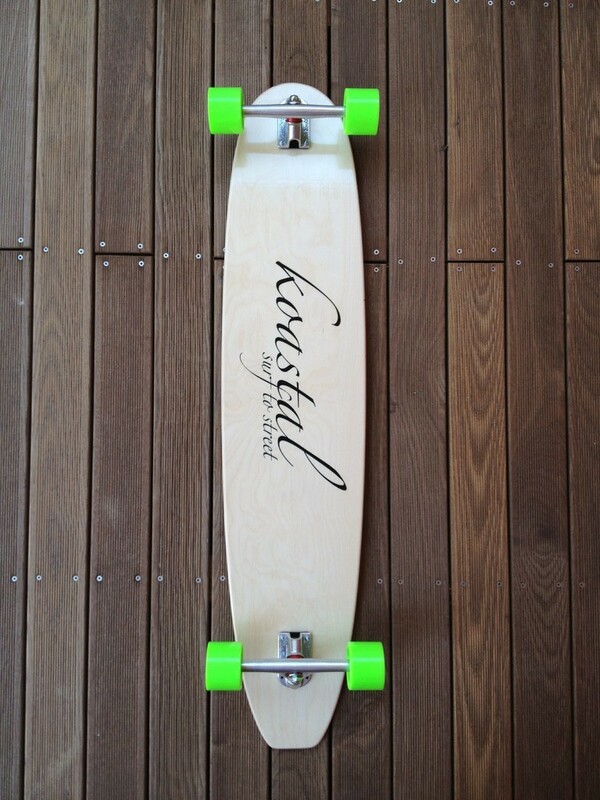 DasT-Band ist gebaut für lange Crusing Distanzen. 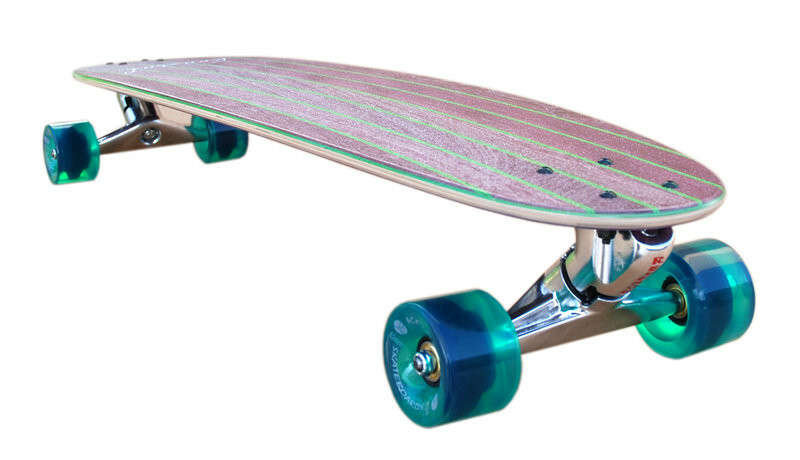 Der Flex und der Rockershape lassen auch auf der Straße den Swell spüren. 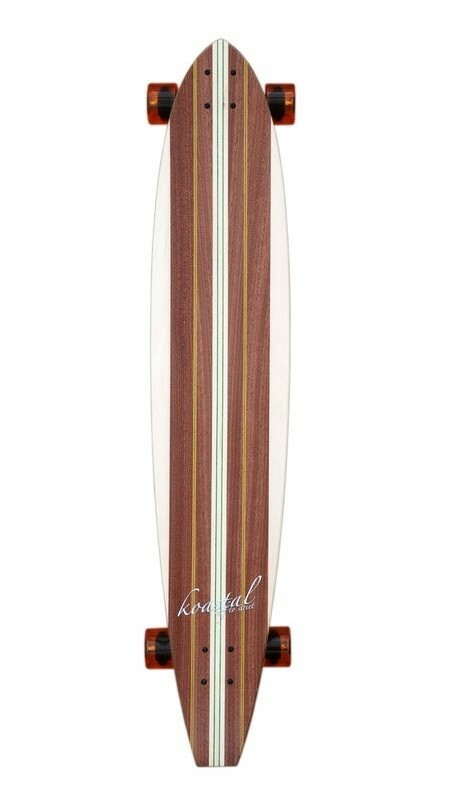 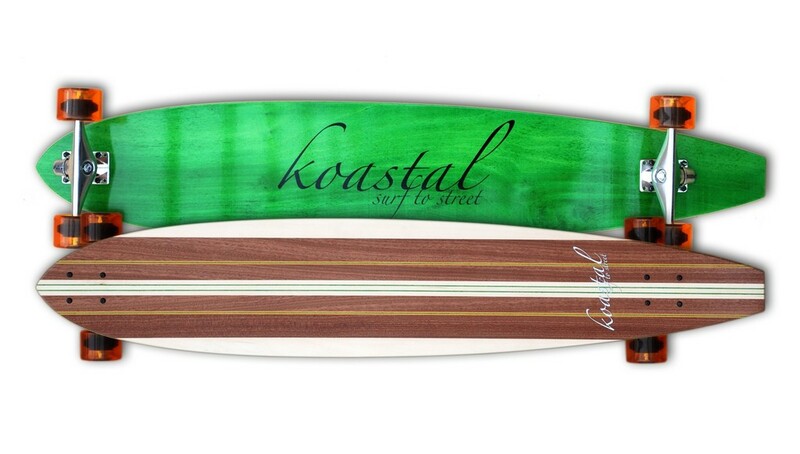 Das Koastal Classic hat ein richtig schönes Klassik Design und einen klassischen Surf Longboard shape! 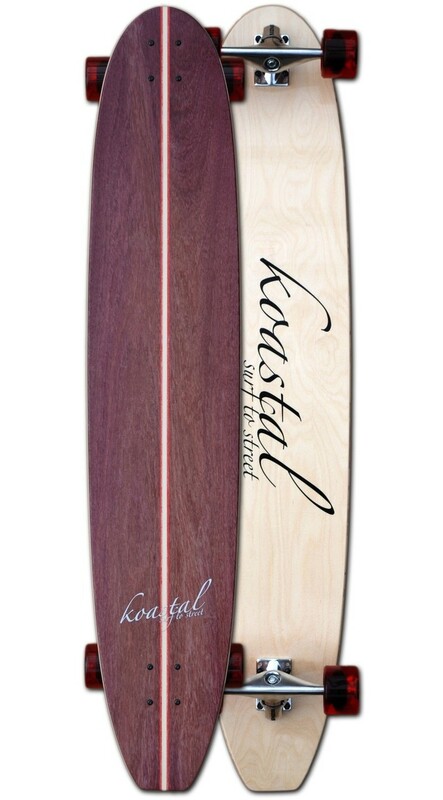 Koastal "The Gun 47'' used"!!! 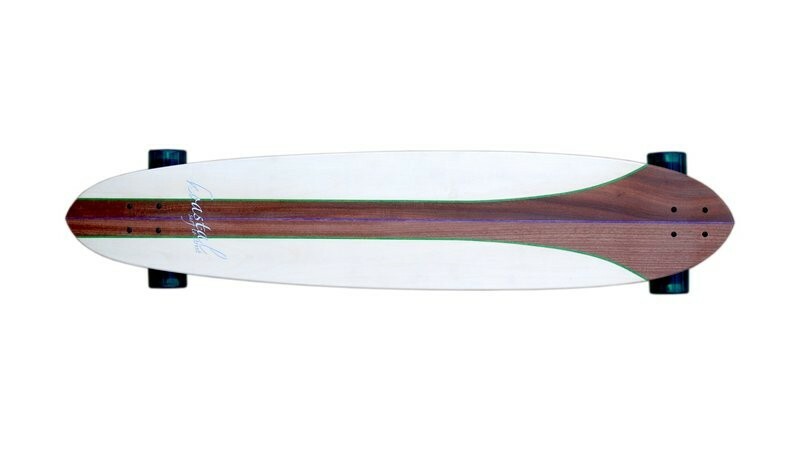 Dieser Shape macht das Brett perfekt für Cross Stepping, Hang Tens, Nosemanuals und Dancen! 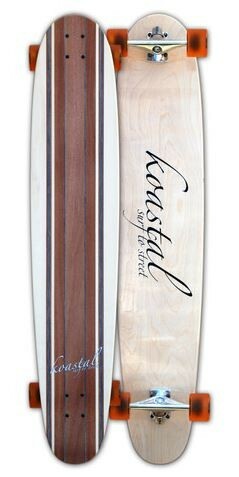 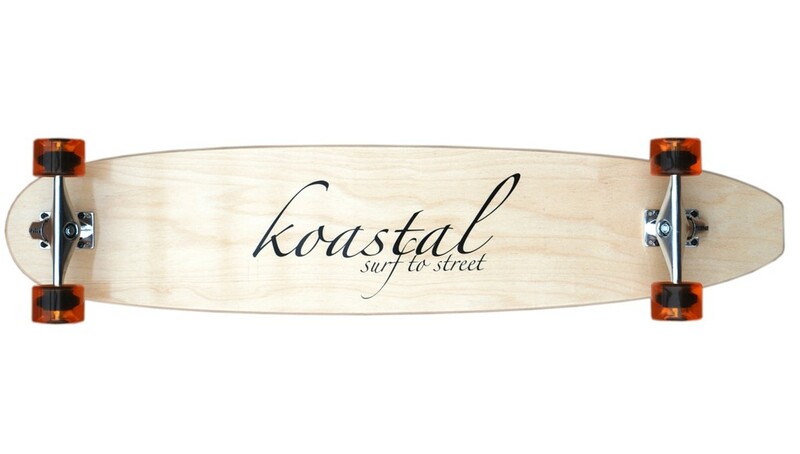 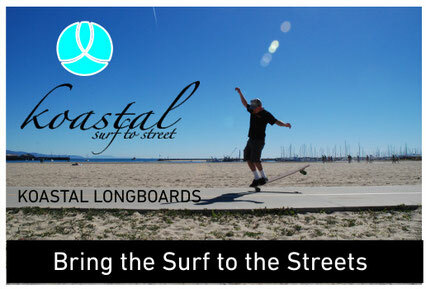 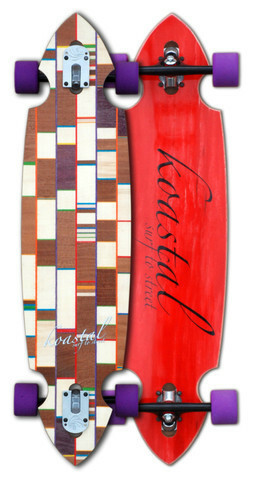 All of Koastal's boards are handcrafted from start to finish in Southern California. 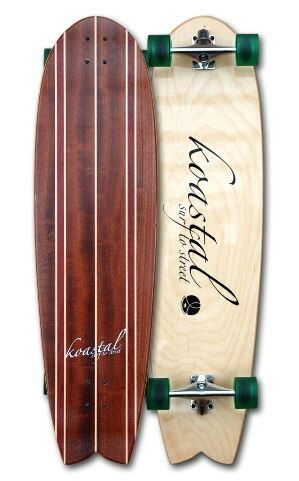 Koastal Woody Longboard Skateboard Cruiser Carving board. 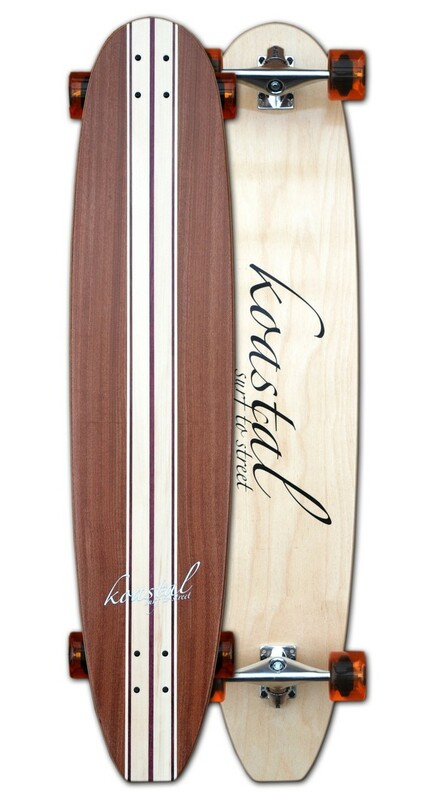 The Koastal Woody has a similar look to the Koastal Classic. 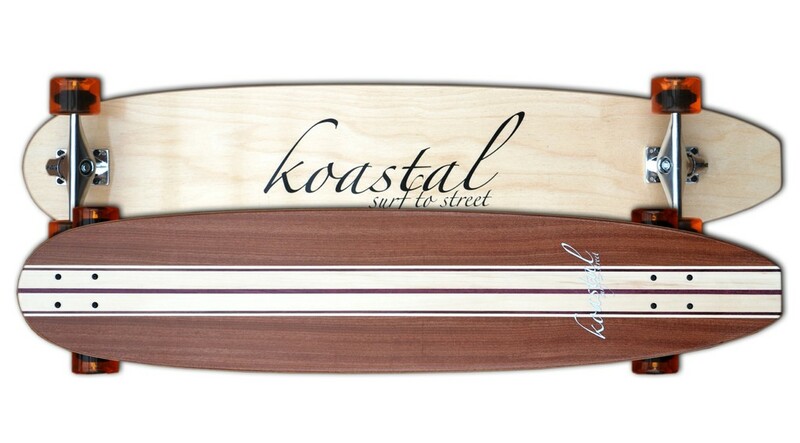 Keeping the stringer design more retro looking and very simple. 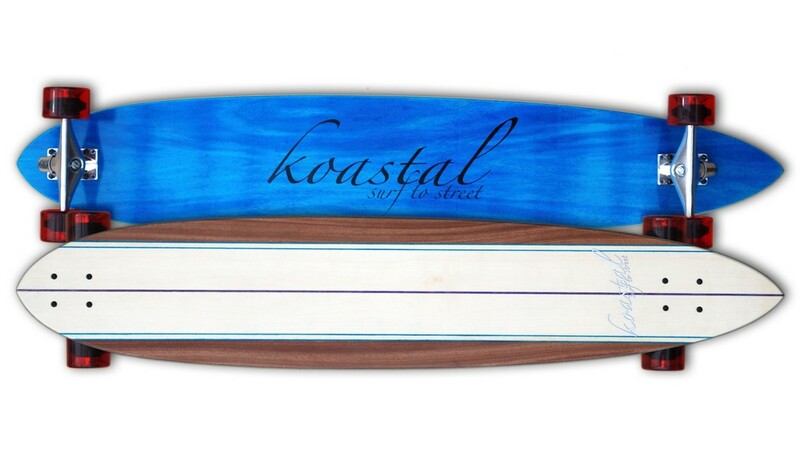 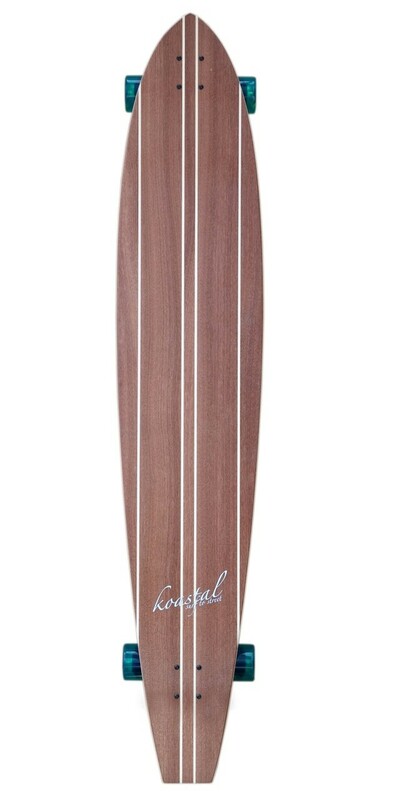 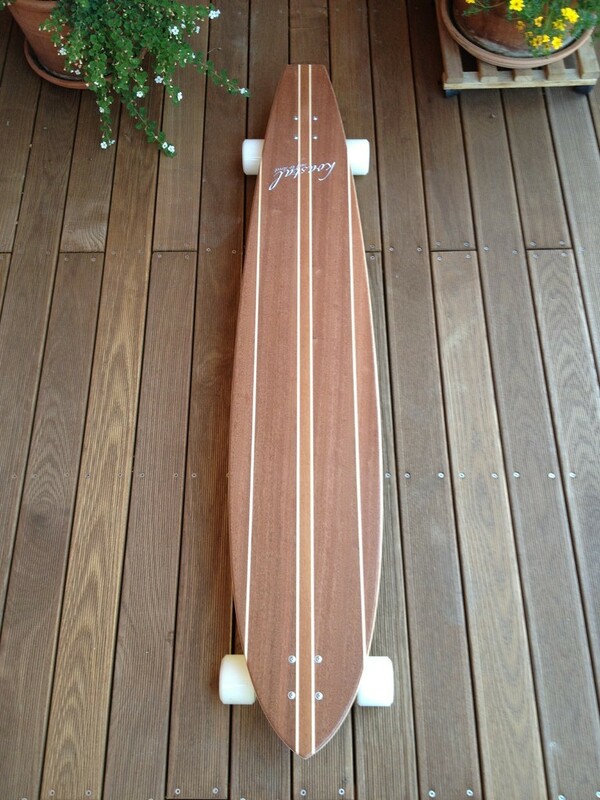 This board also has a similar shape to the Classic except the tail is more rounded rather then a square tail. 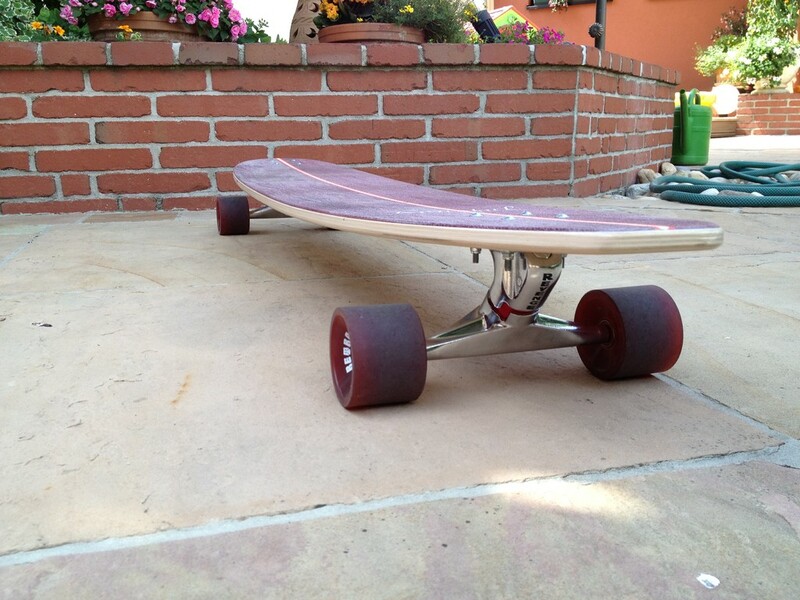 The width of this board makes for a very stable ride. 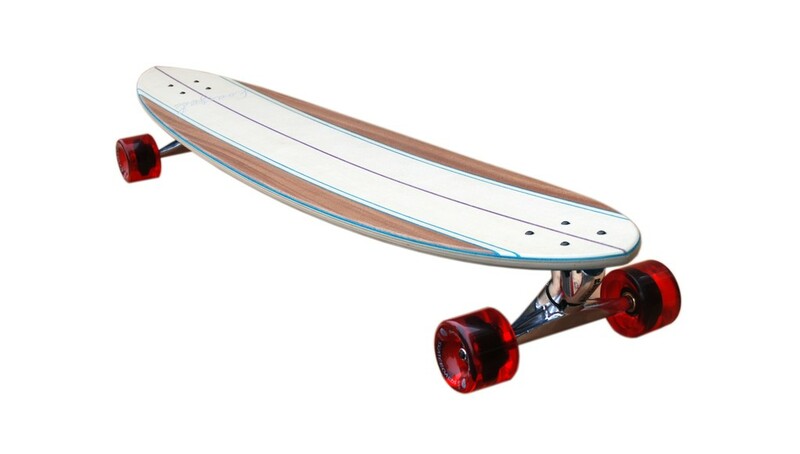 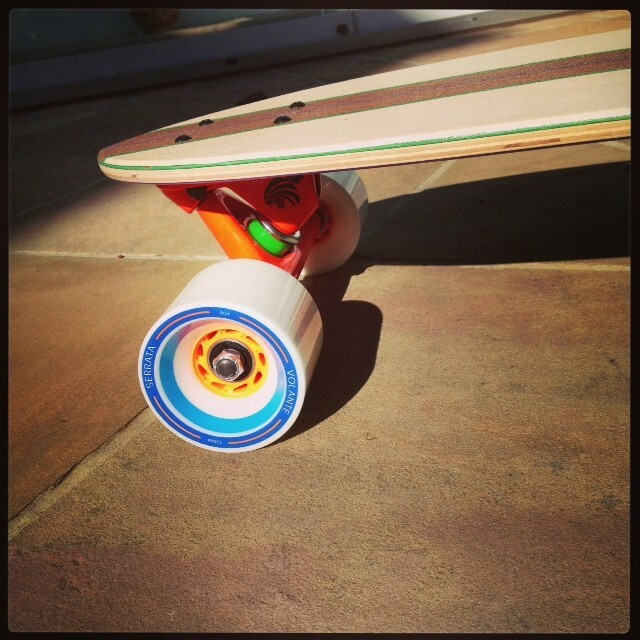 Its a great cruiser board and carves really well with the Revenge trucks. 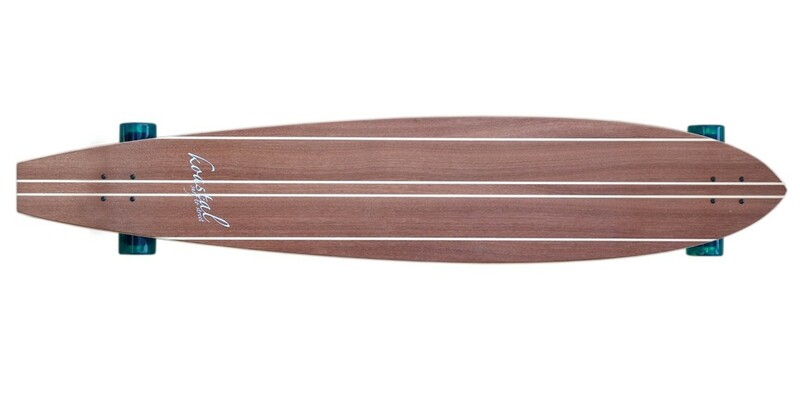 Boards similar to the Woody are the Classic, Current, Pearl, T-Band, and Gun. Wood: Aspen, Mahogany, purple heart, and black died maple veneers. 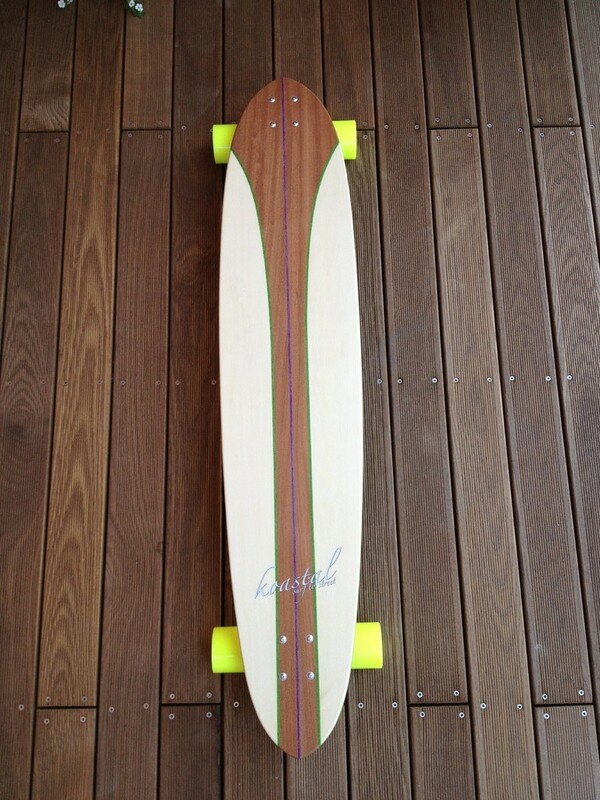 The core of this board is 7 ply maple. 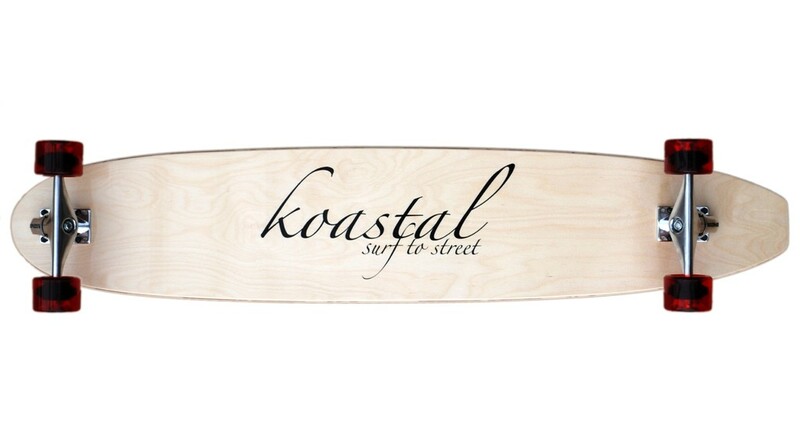 Koastal Longboard Skateboard Cruiser Carving board. 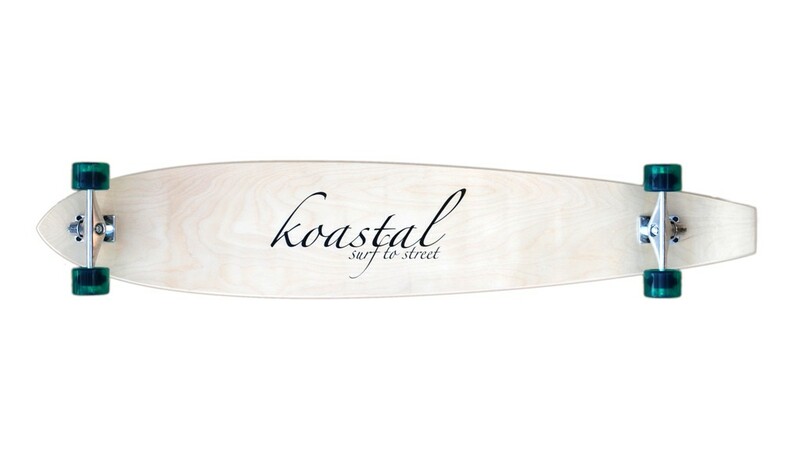 Koastal Pearl has a very simple light stringer design. 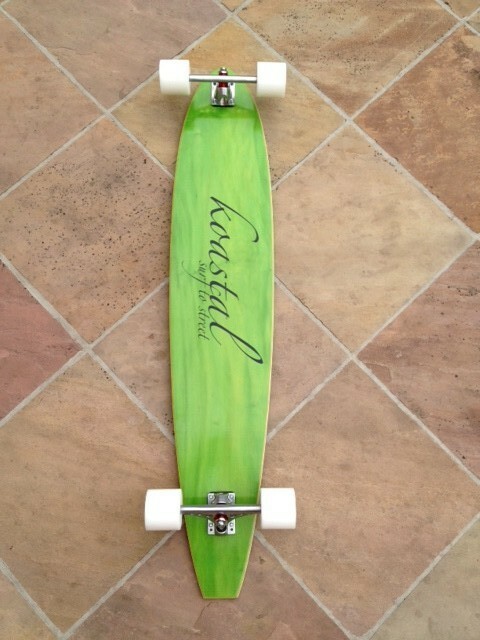 Mostly made from aspen this makes for a very clean simple look. 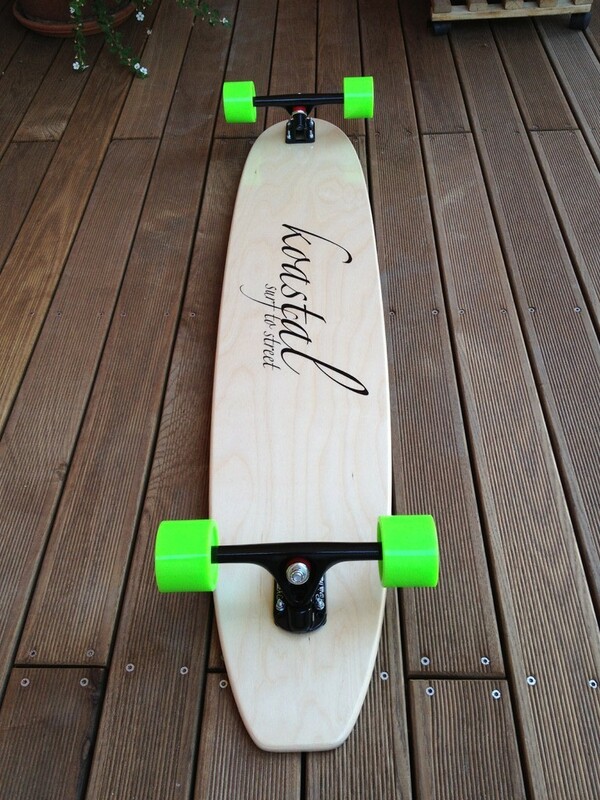 Its a board for carving and cruising. 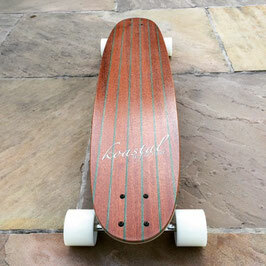 Has a similar ride to the Current, Classic, Woody, and Gun. 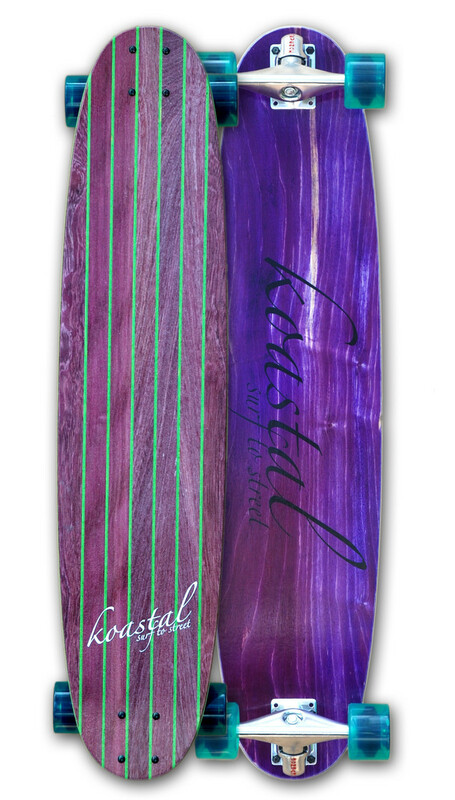 Wood: Aspen, purple heart, and black dies maple veneers. 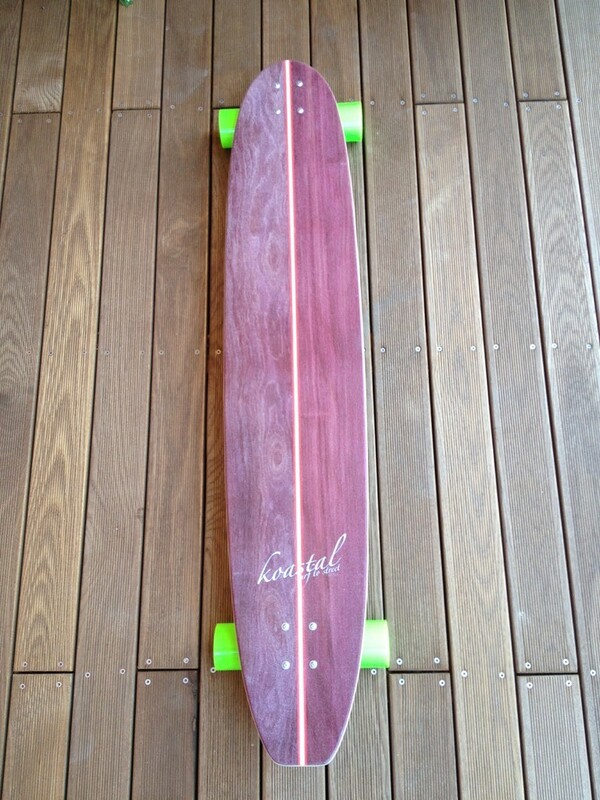 The core of this board is 7 ply maple.